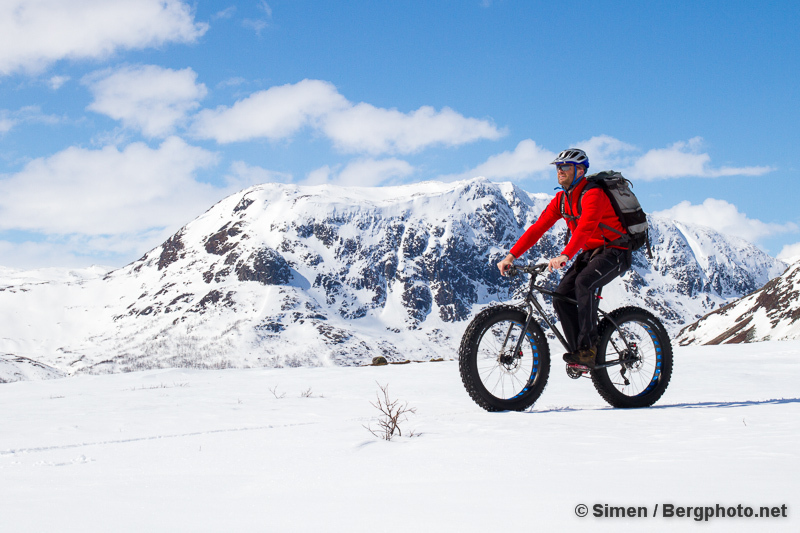 The Fatbike is gaining popularity around the world. 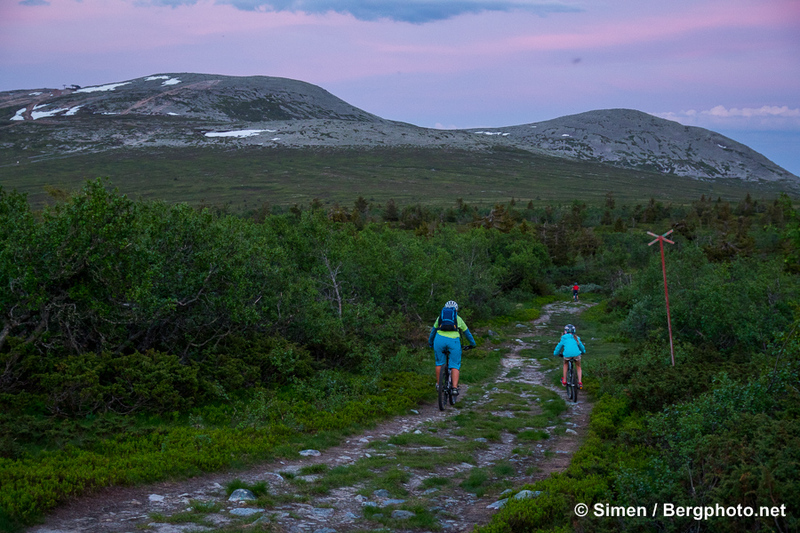 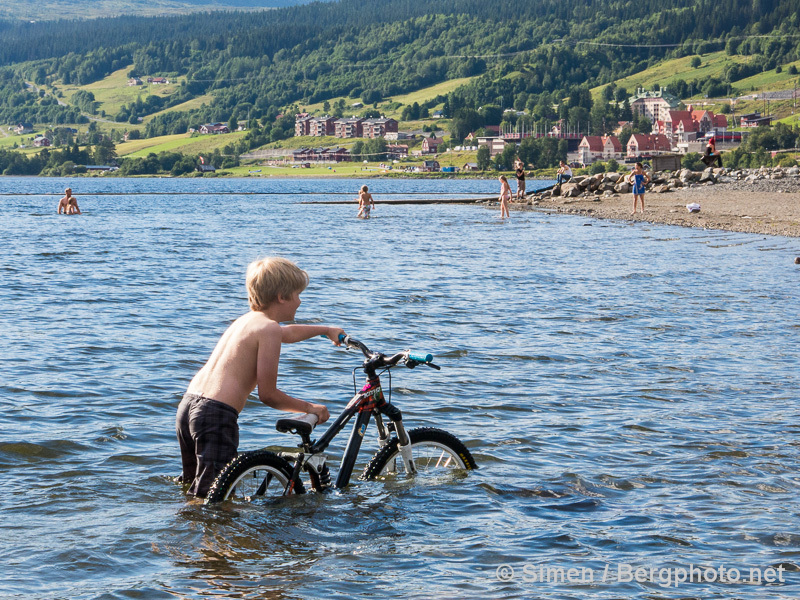 In 2013 there were a few handfuls of bikes in Norway, now they’re in the thousands. 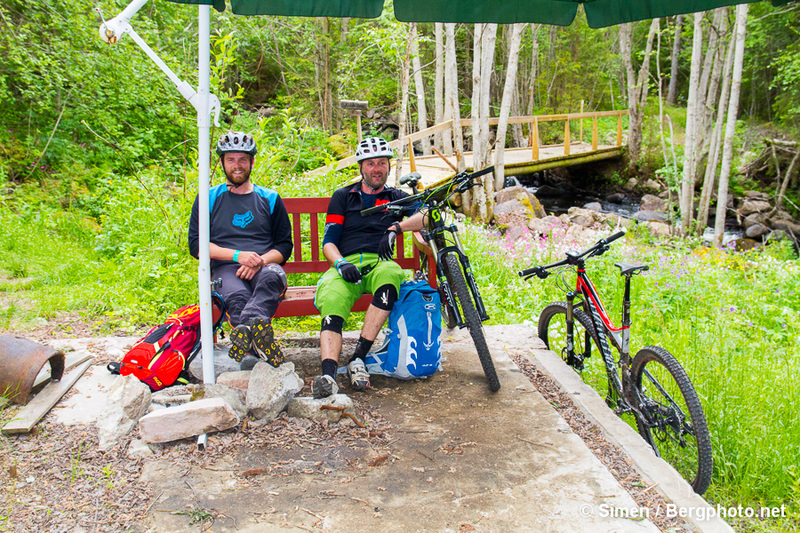 To try it out, we borrowed Surly bikes from the importer, Brown Couch, plus my friend Are. 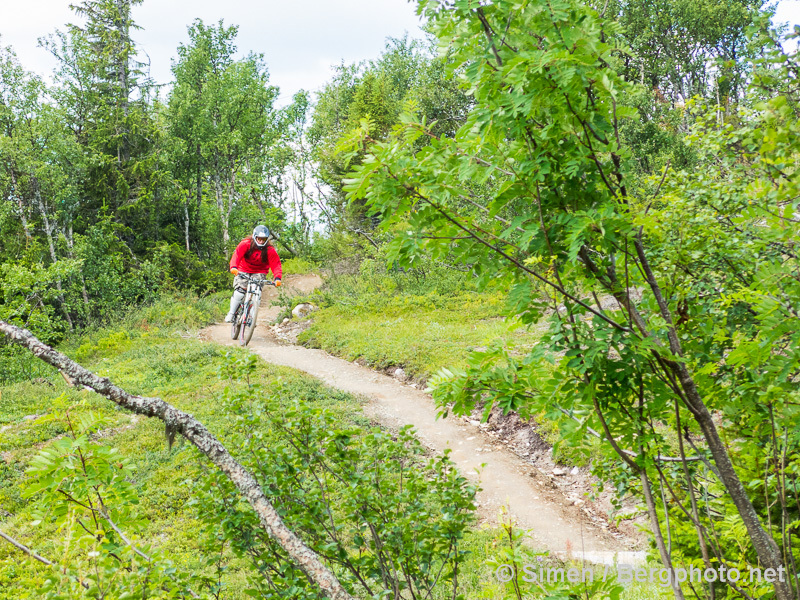 It also turned out he had done the ride we had planned for the day. 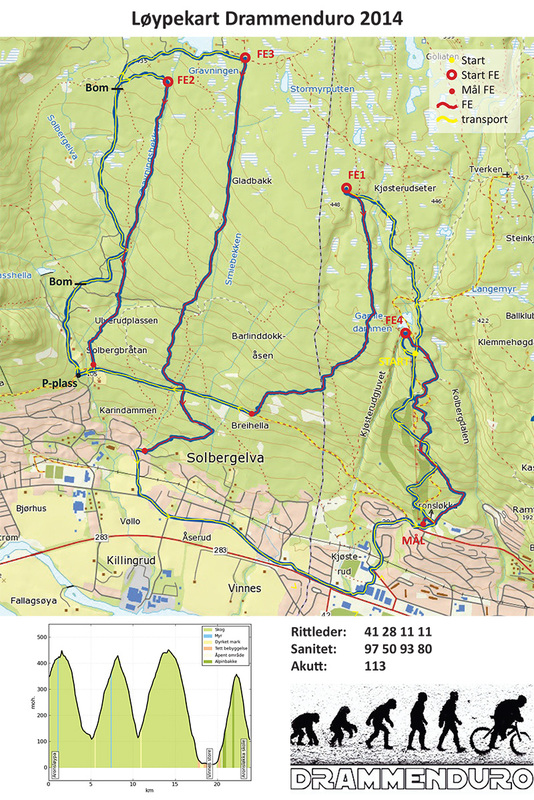 We dropped one car off by the golf course in Grøndalen, not far from Solheisen. 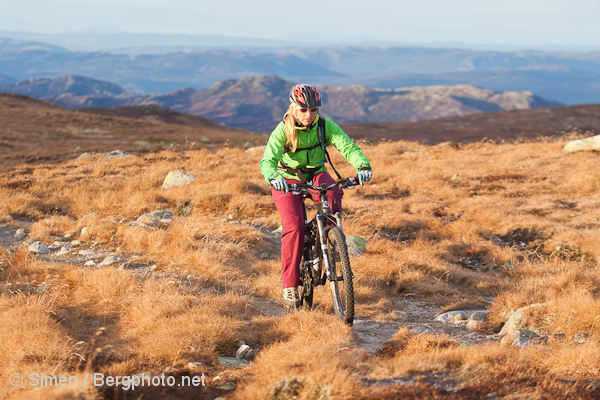 Then we got a lift to Bjøberg, close to the highest point of Hemsedalsfjellet. 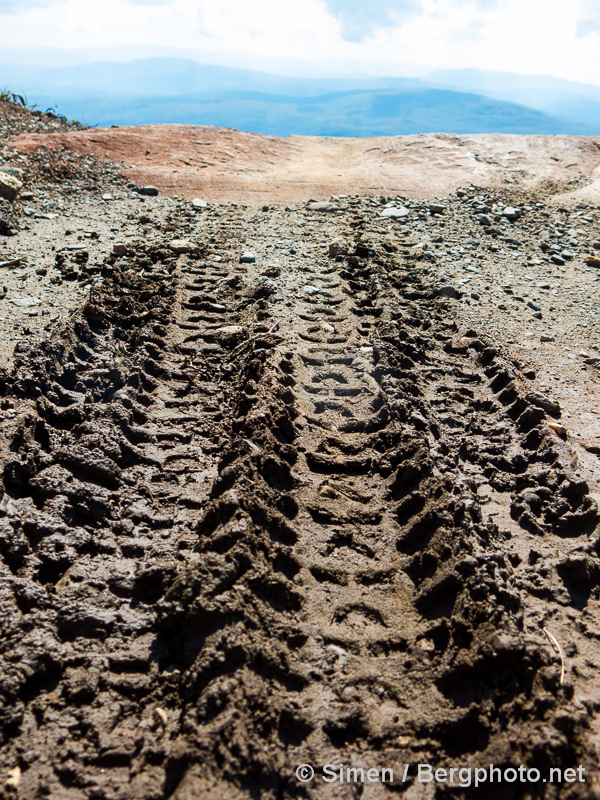 The skiing tracks had not been prepared for many days, so the climb started off a bit loose. 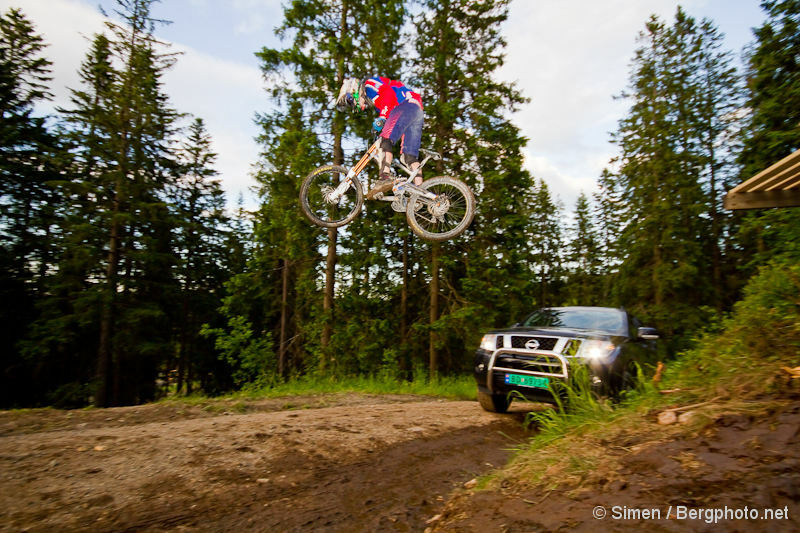 But it got a lot better as we gained some altitude. 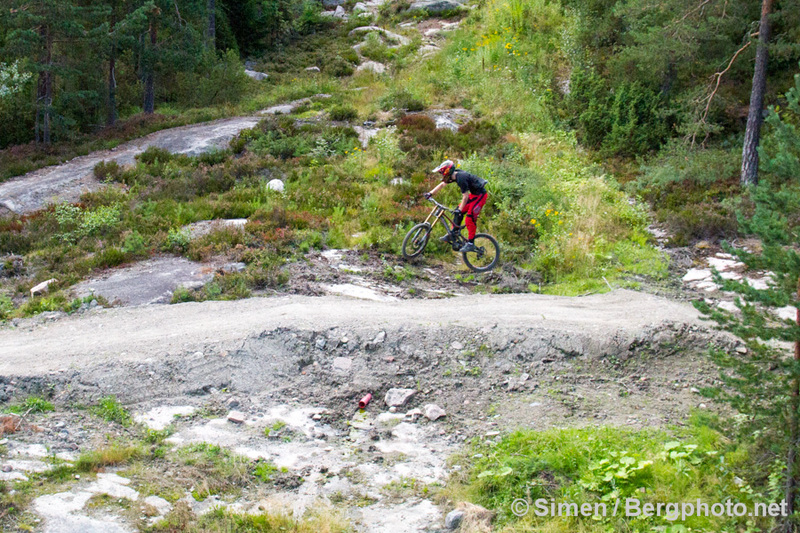 Basically there was from 5-10 cms of snow on a firm base. 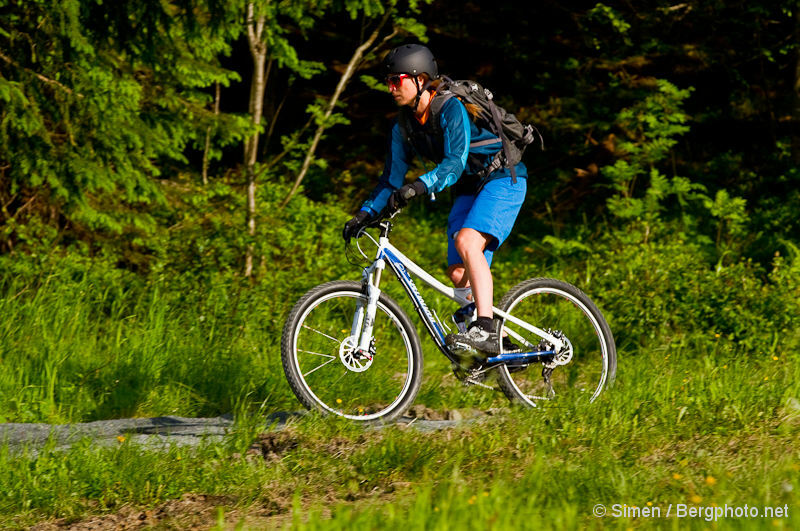 The ride was about 17 kms, with a moving time of 1:42. 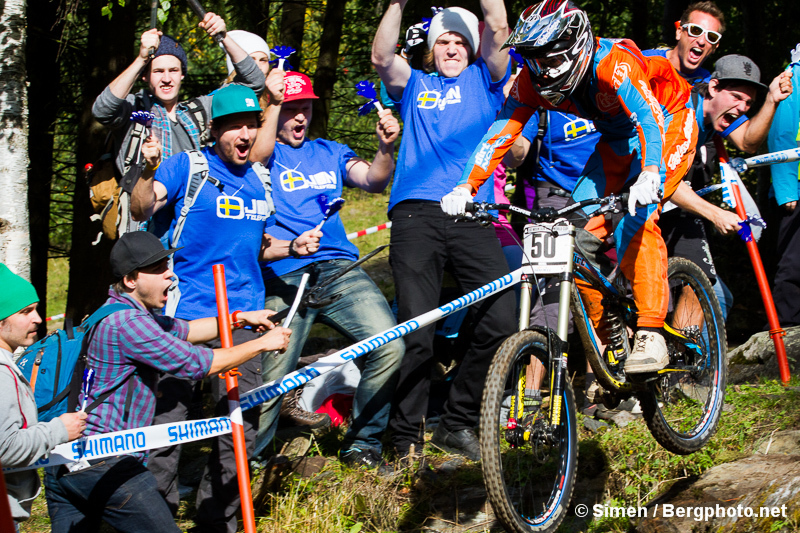 IN SUM: DID WE LIKE IT? 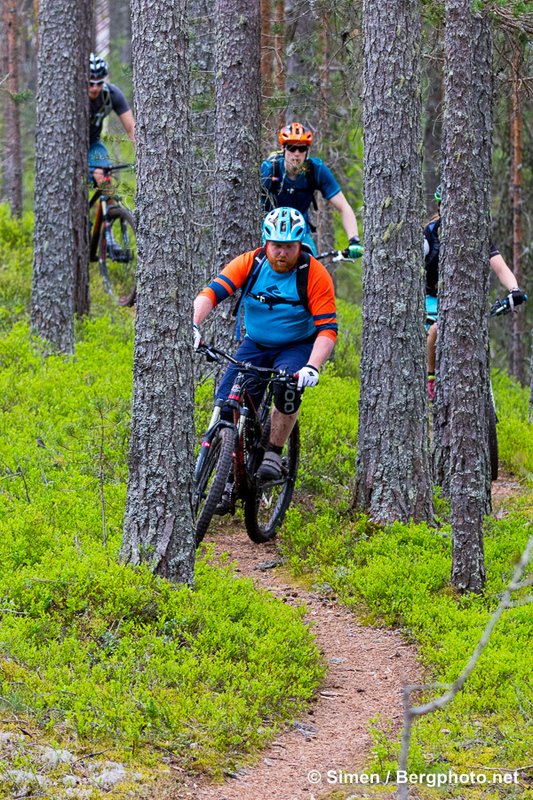 It was our first experience with fatbikes. 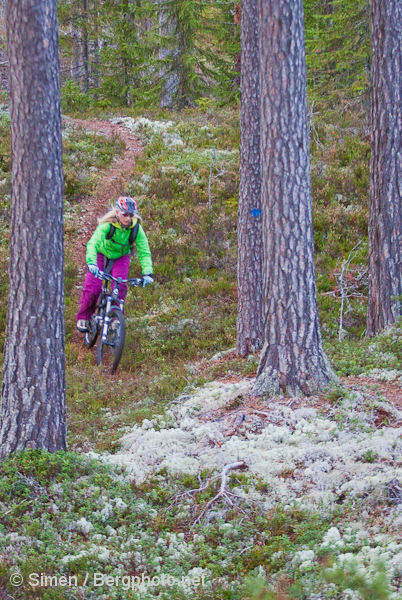 It is intriguing to be able to ride a bike on snow like this. 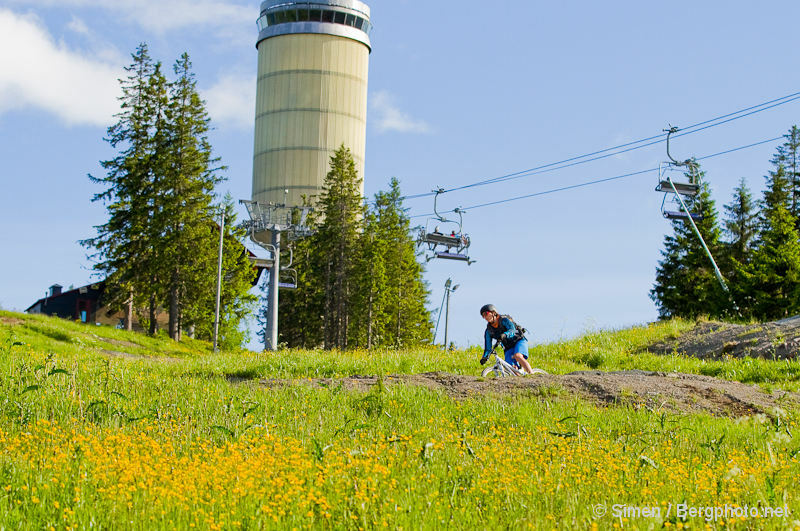 But Kathrine and I agreed that we prefer skiing when conditions are like this. 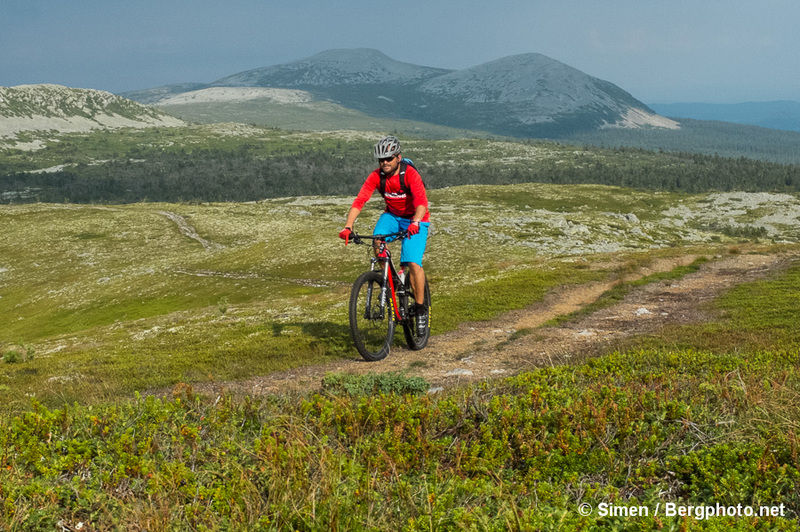 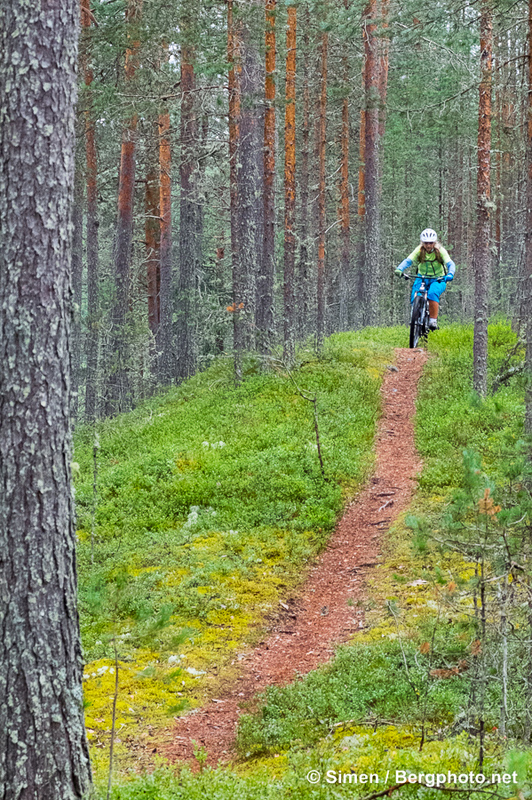 I can’t describe how frustrating it was to pedal downhill for kilometers, instead of going four times as fast on skis… And when the snow is gone, we prefer our full suspension trail bikes. 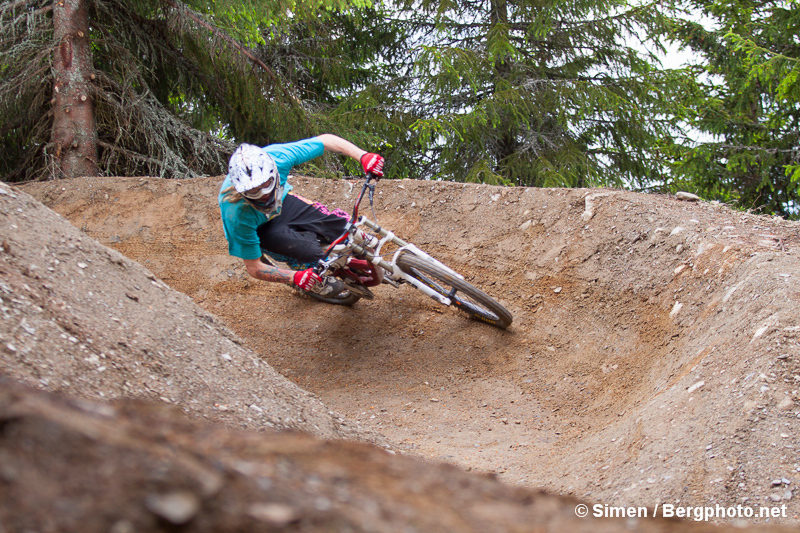 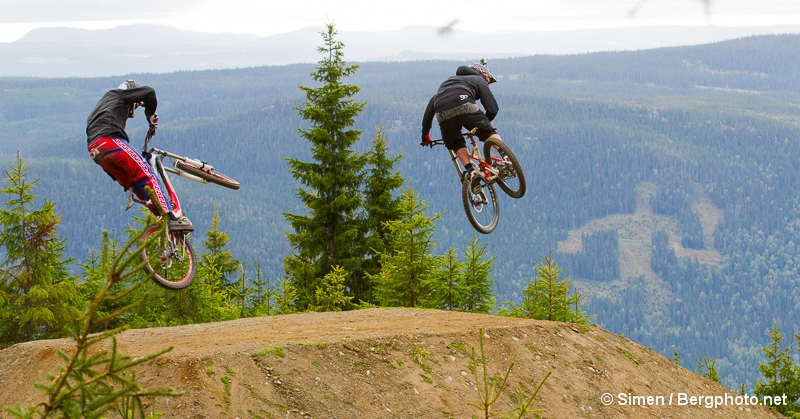 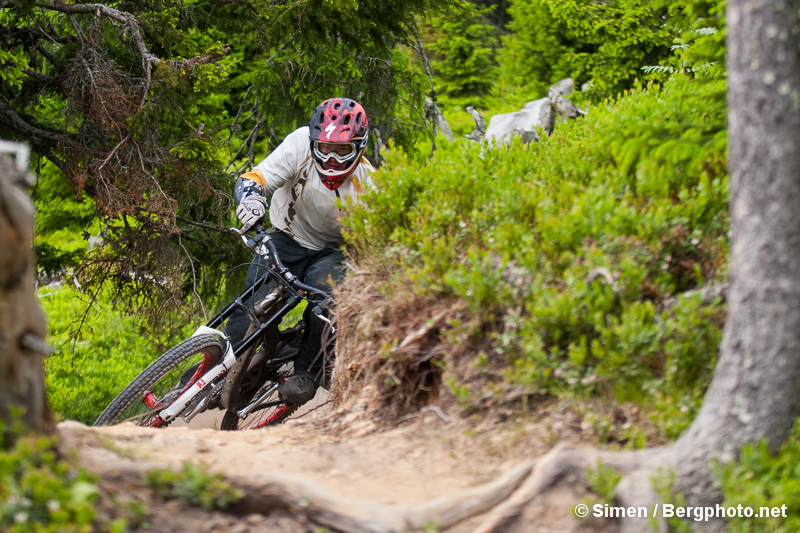 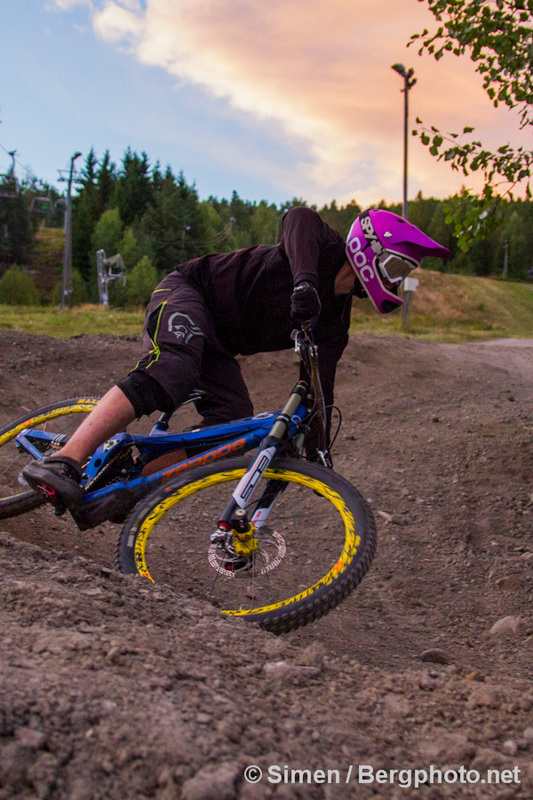 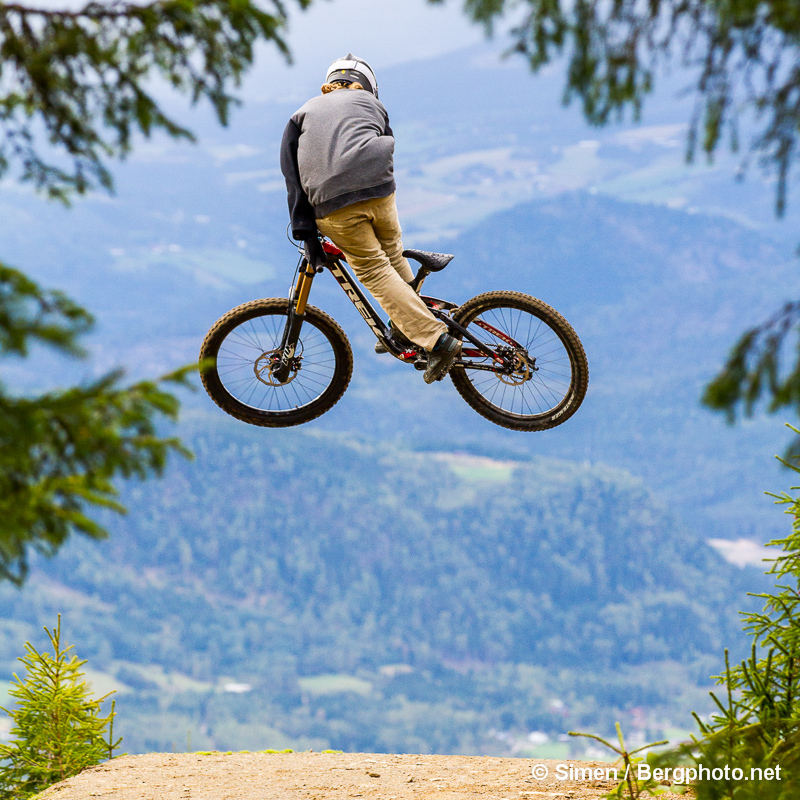 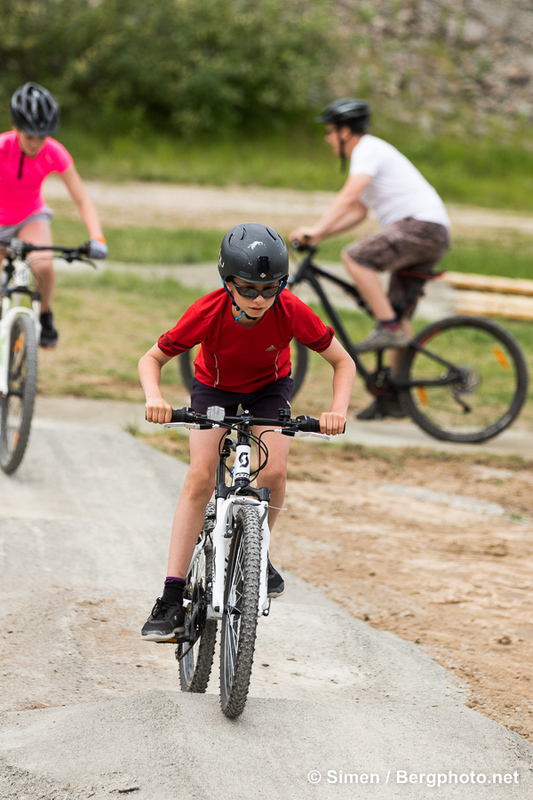 PLEASE NOTE – THE BIKE PARK WILL NOT BE OPEN AFTER THE 2013 SEASON! 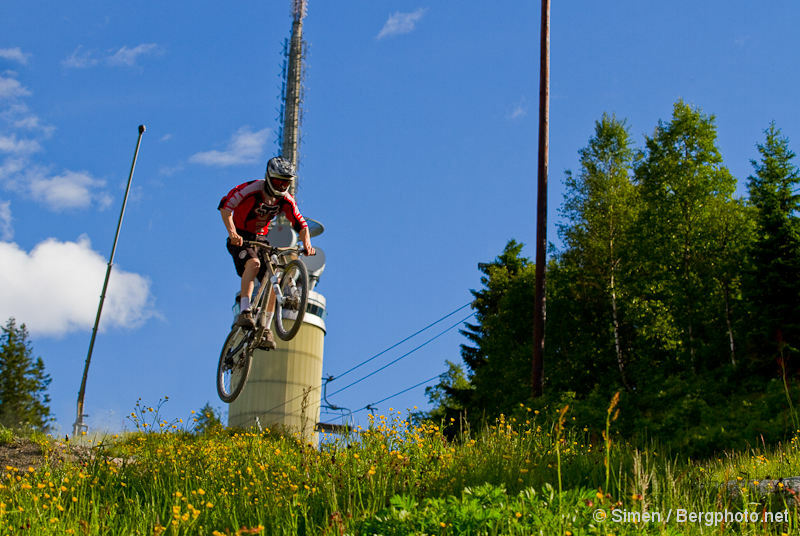 Drammen Skisenter (half hour drive) and Hafjell Bike Park (two hours drive) are the closest alternatives. 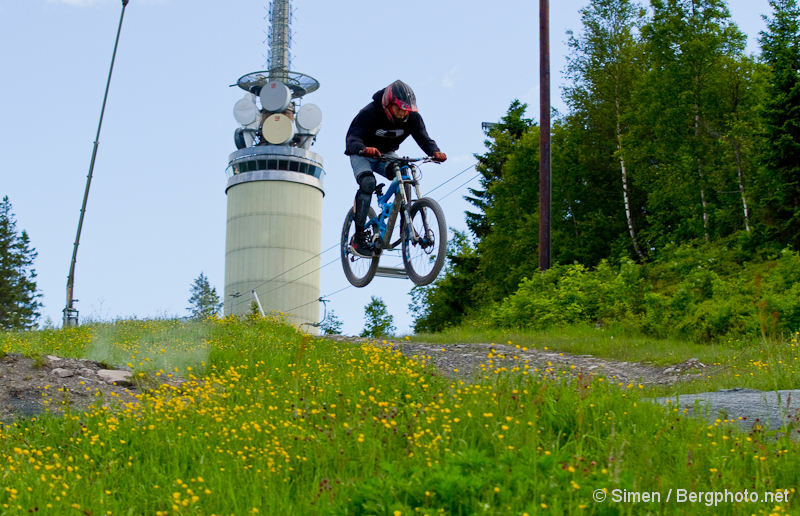 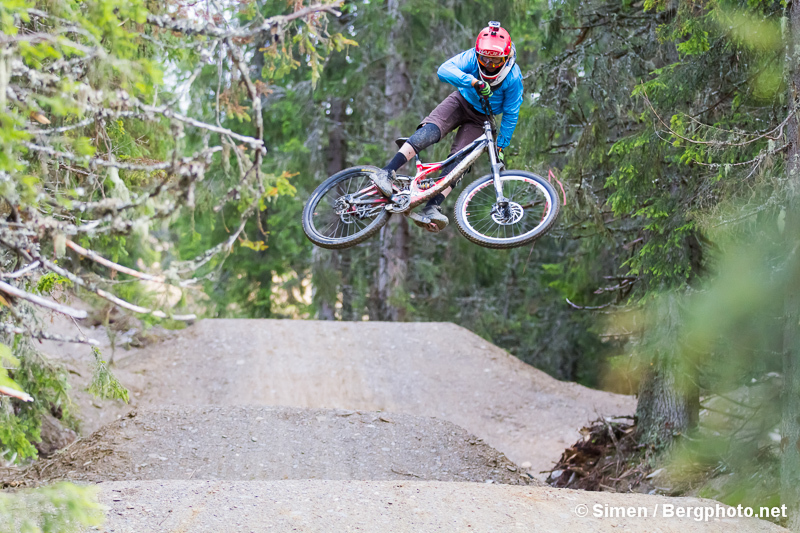 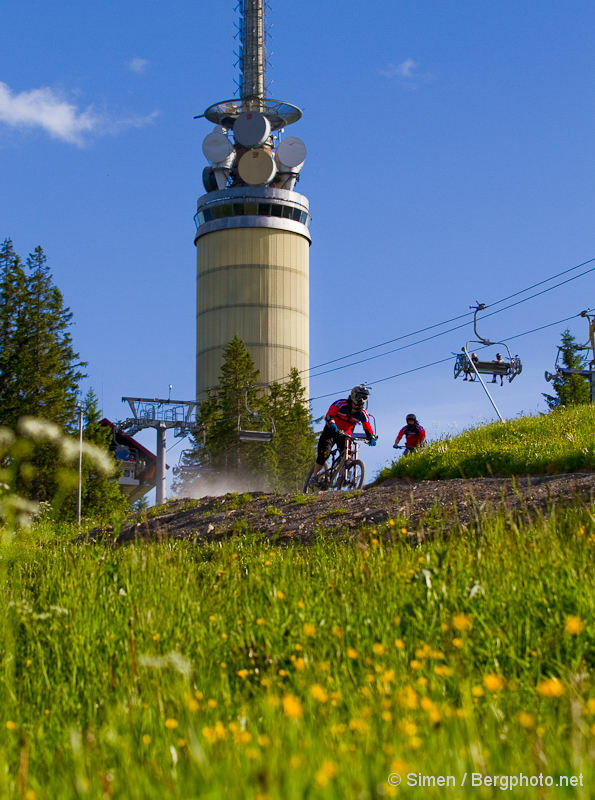 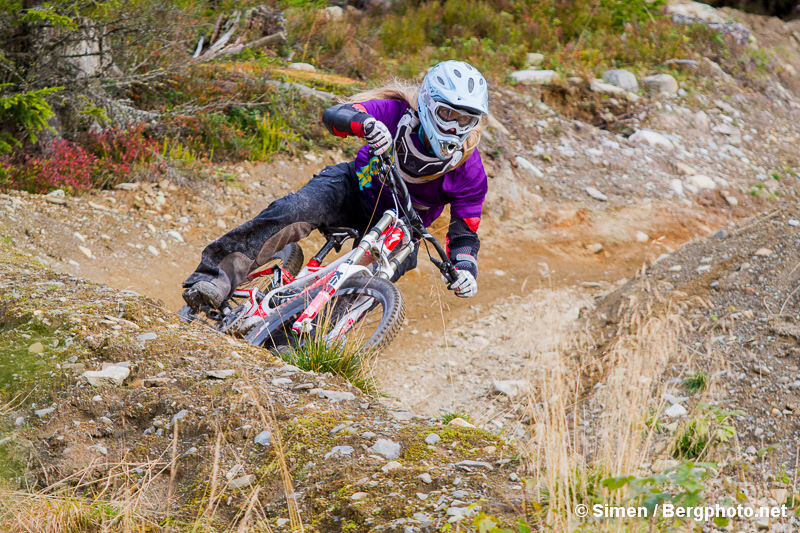 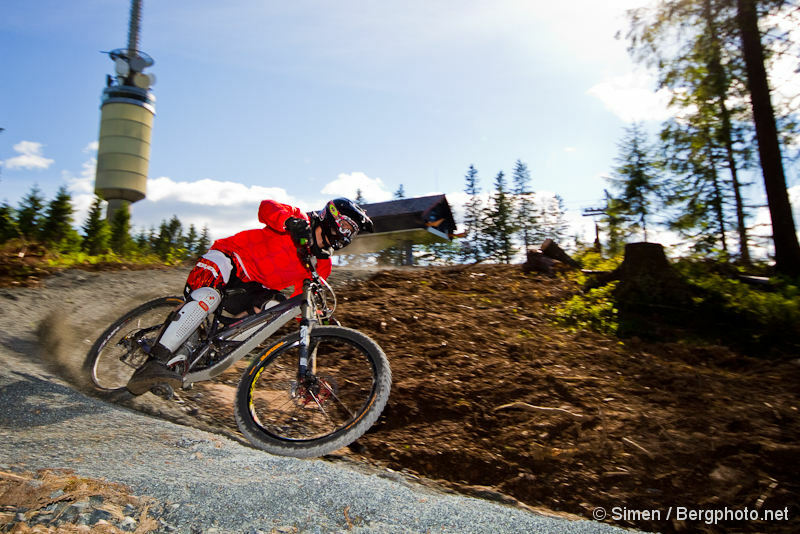 On June 29th 2012, Norway got an addition to the list of lift served bike parks aimed at those who like to fly down trails on full suspension downhill/freeride bikes. 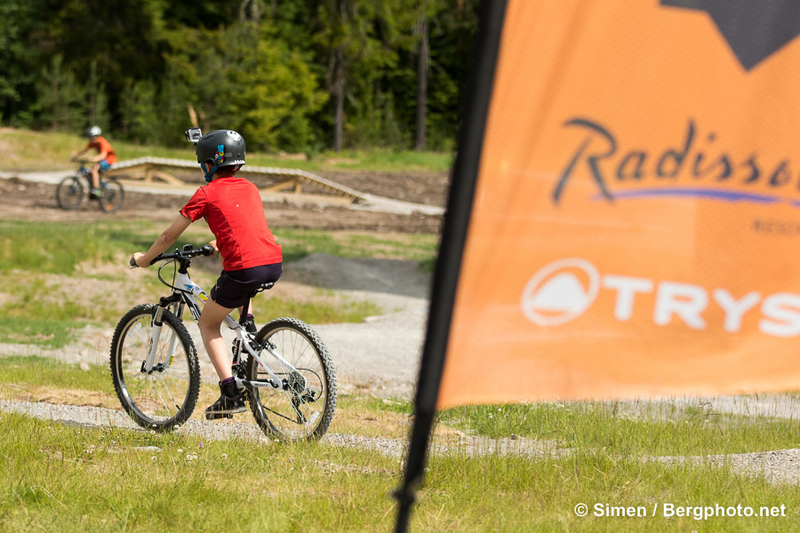 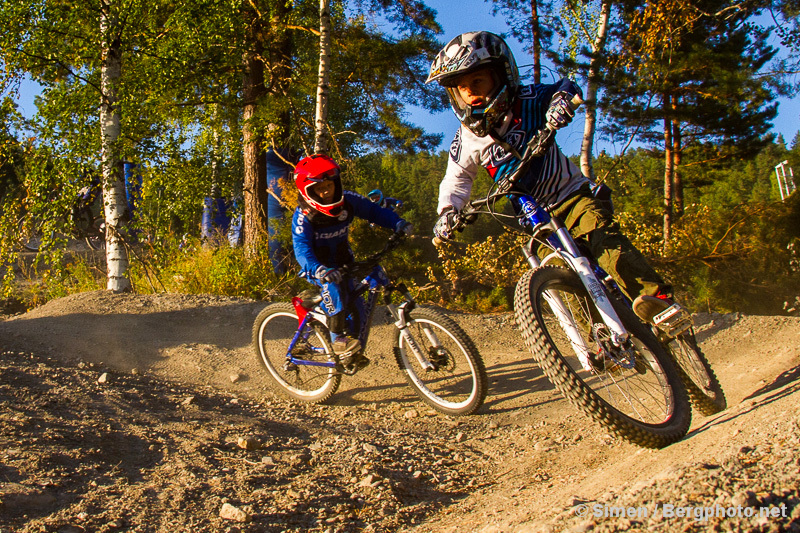 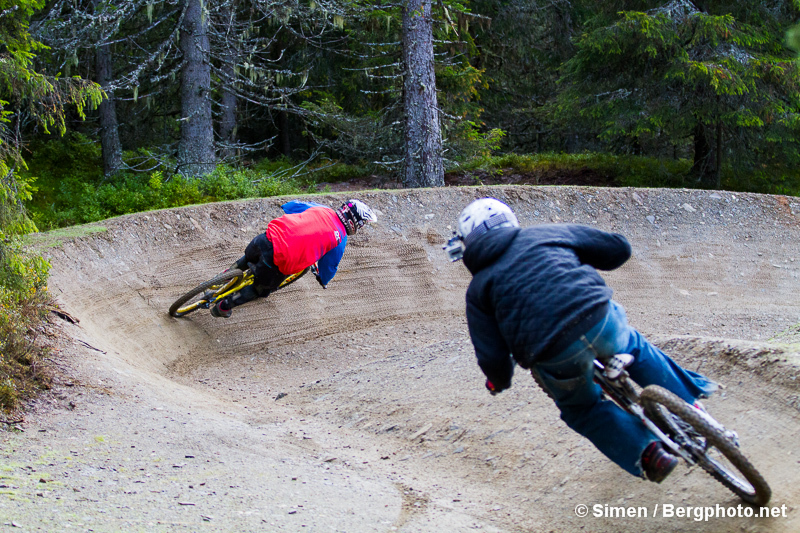 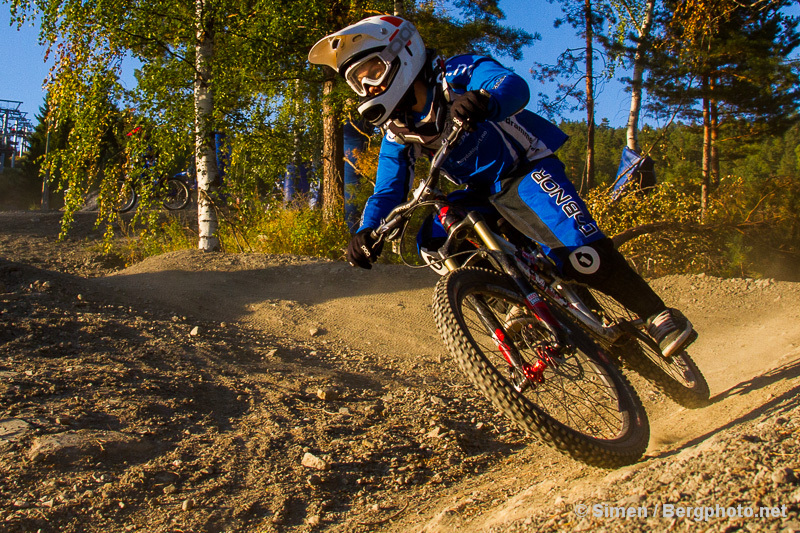 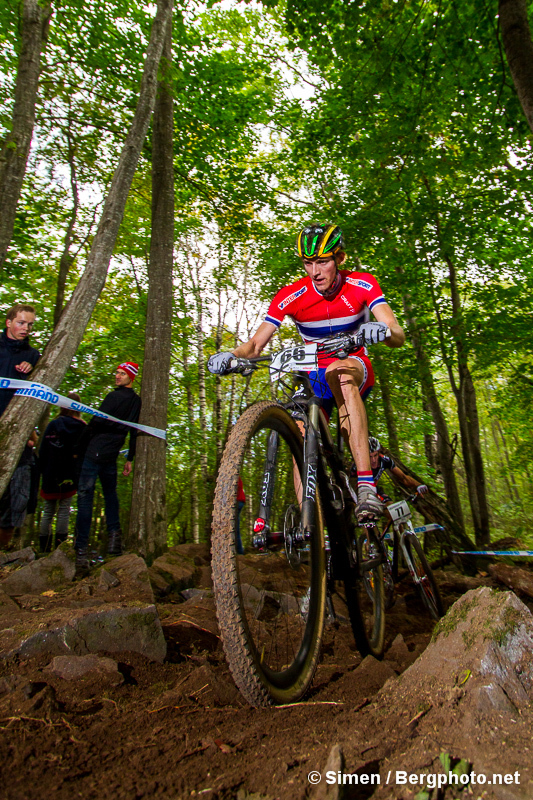 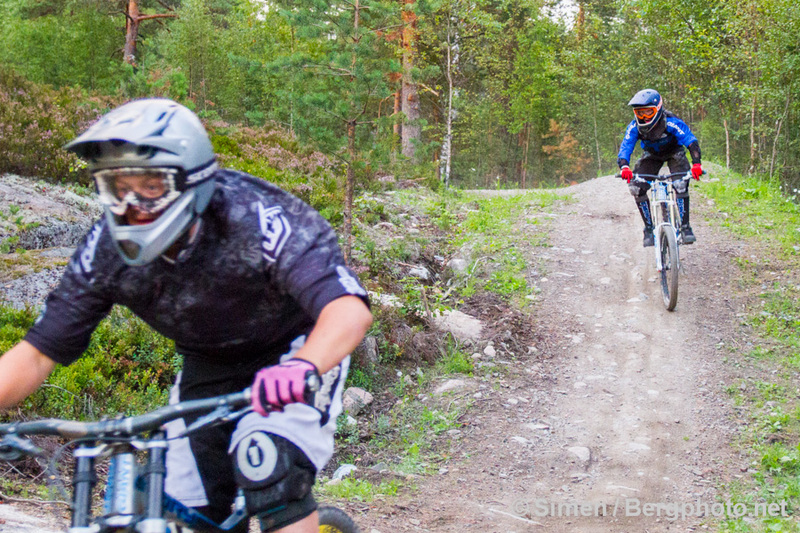 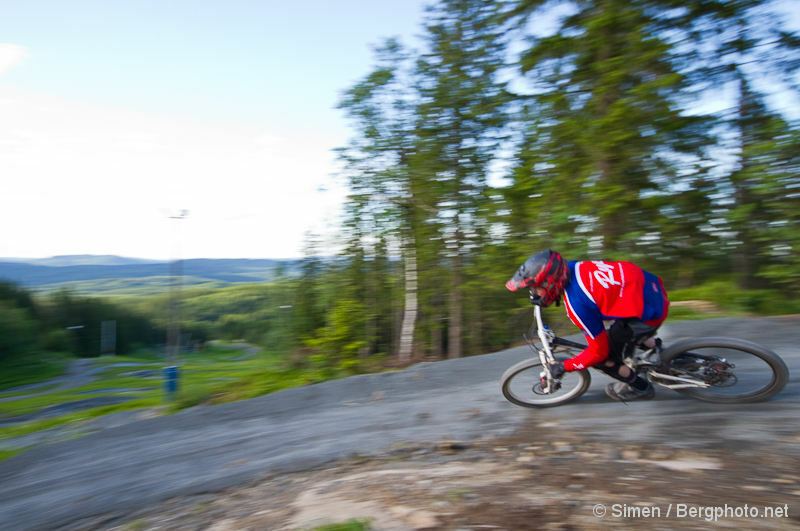 Oslo Sommerpark now offers five trails, of which one is a hand built DH race track. 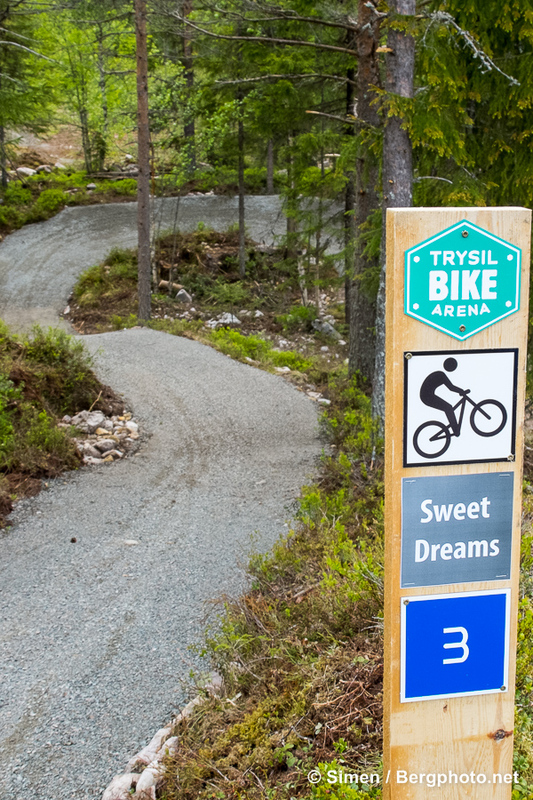 Next year they will add another three trails. 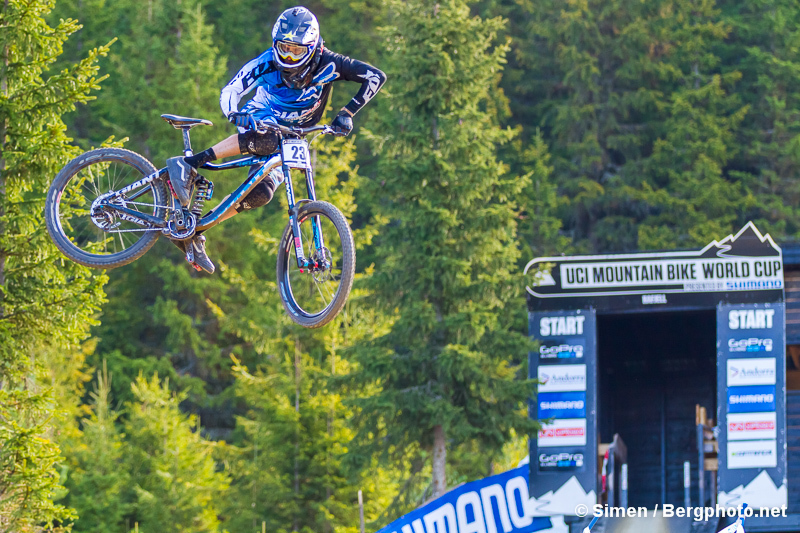 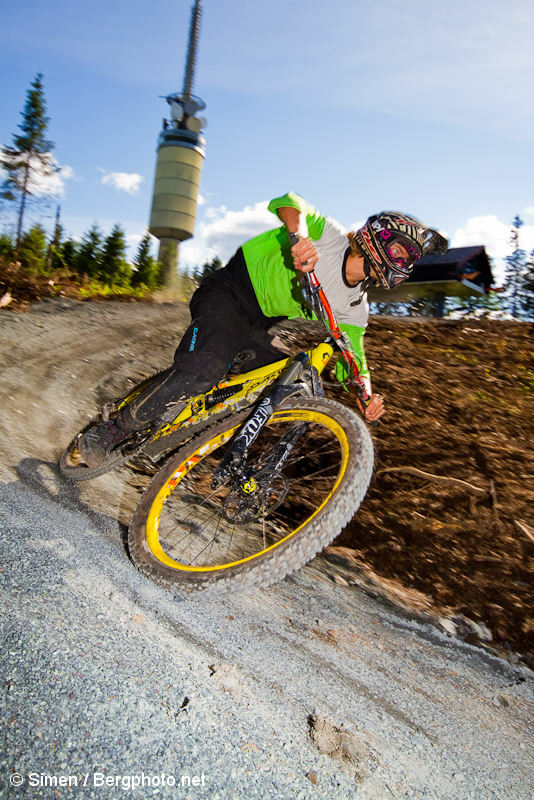 Gravity based biking in bike parks really started off for real in Hafjell around 2005. 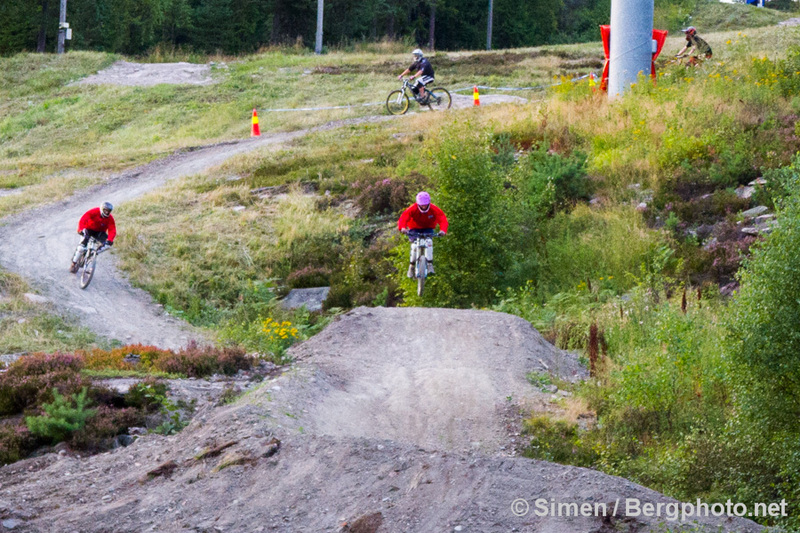 Until then, most of the action happened in Frognerseteren, close to Holmenkollen. 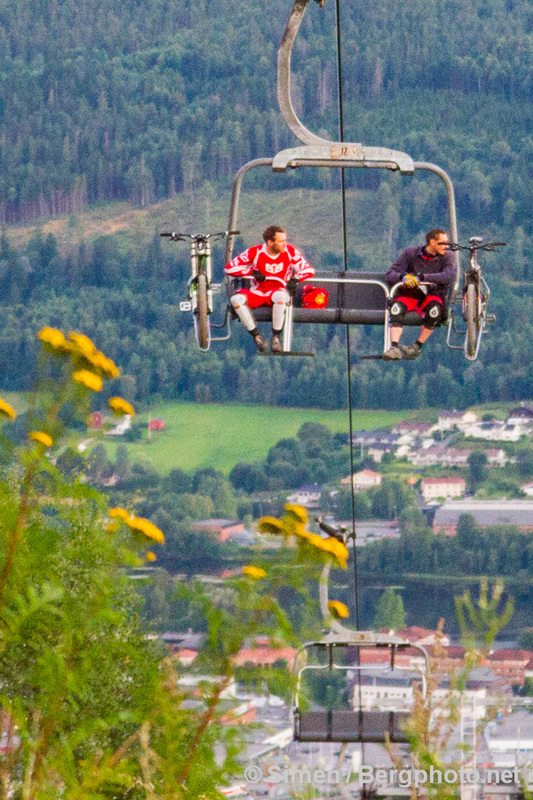 Served by line 1 on the Oslo subway system between Skådalen and Frognerseteren. 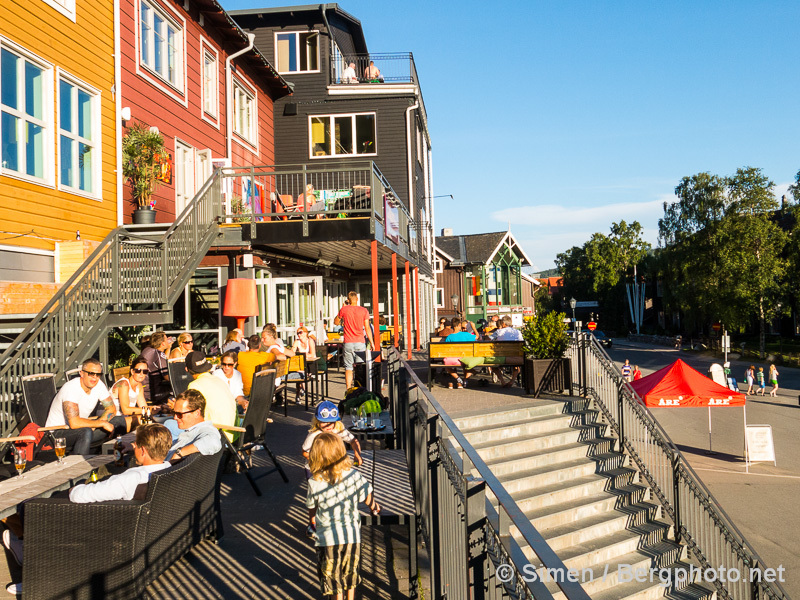 And that’s the same stop you will get the closest to Oslo Sommerpark by the Tryvann tower. 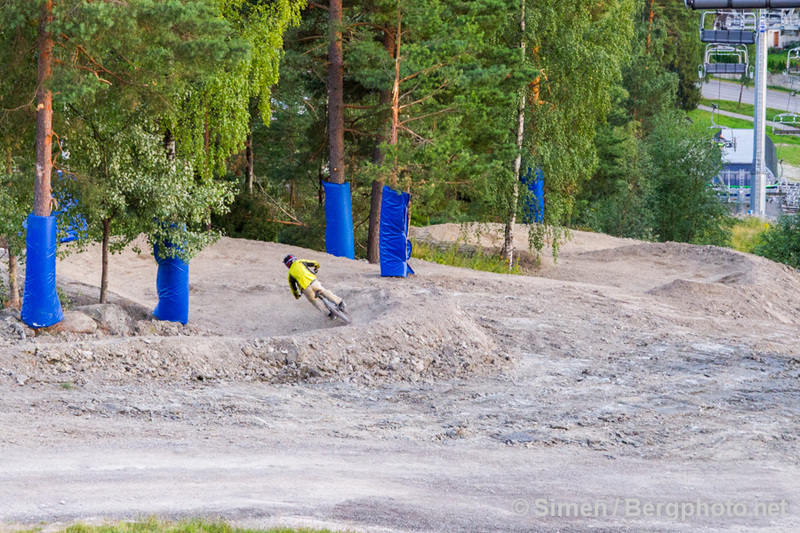 More about the other bike parks later. 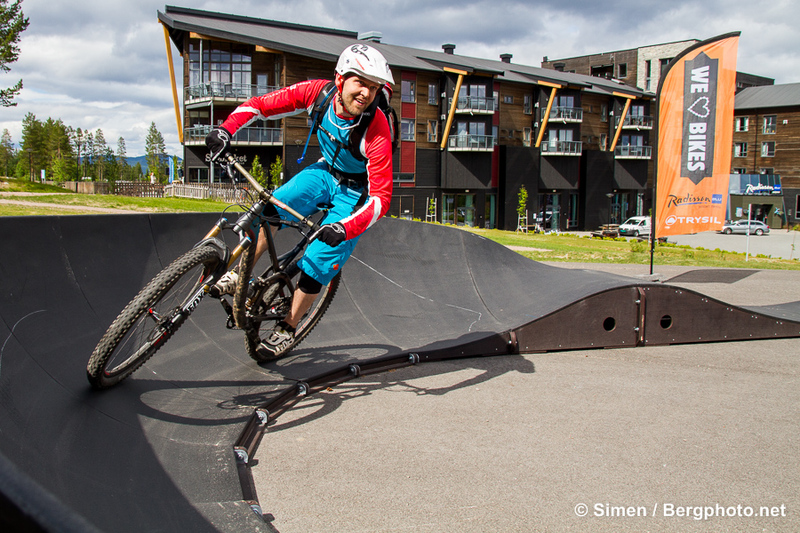 This bike park is a totally incredible accomplishment, taking into consideration that it all was built from scratch in less than two months. 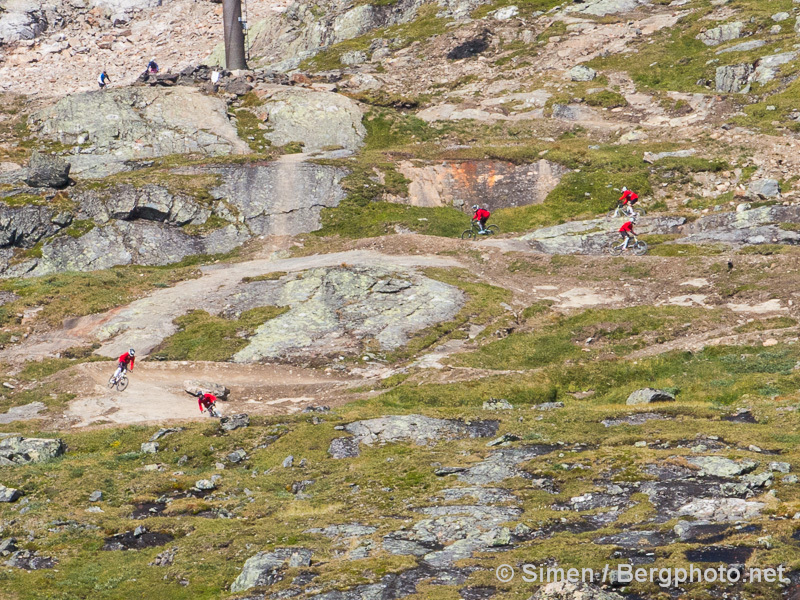 But here it actually is, and five trails are up and running, with three more to come in 2013. 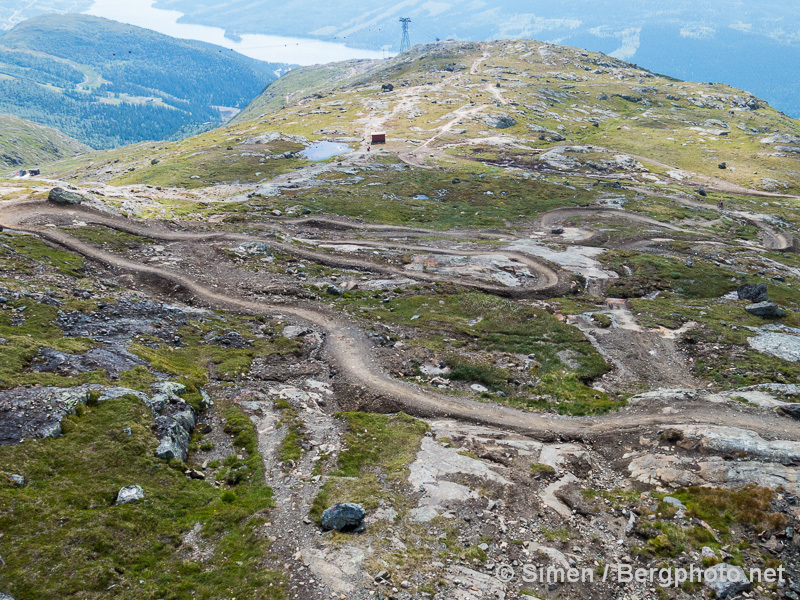 Bike Park guru Snorre Pedersen from Hafjell Bike Park designs the trails, so no rookie mistakes around here. 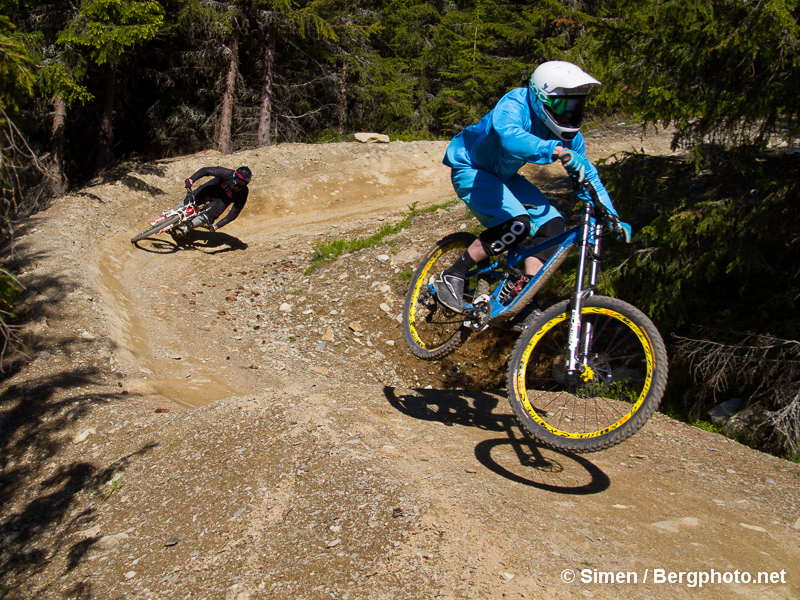 Begynnern: Flowy and bermy out in the open. 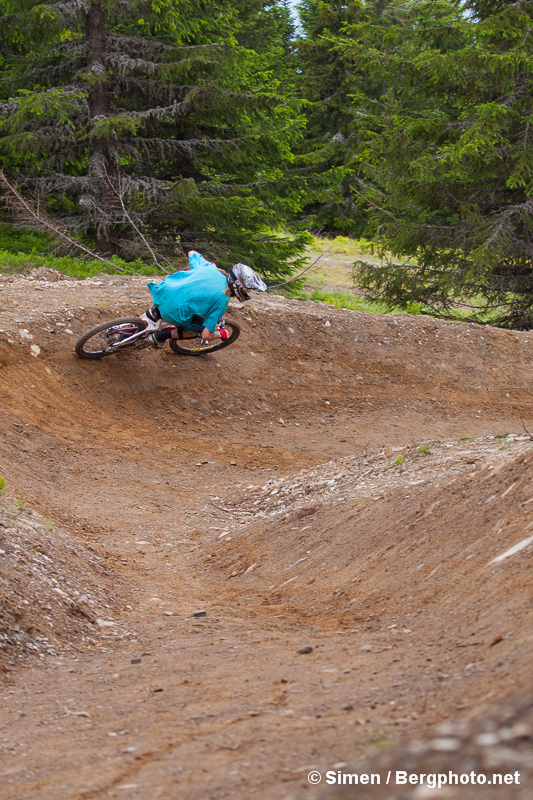 Eastside: Some tables and berms, but mostly tight corners on a narrower, machine built trail in the forest. 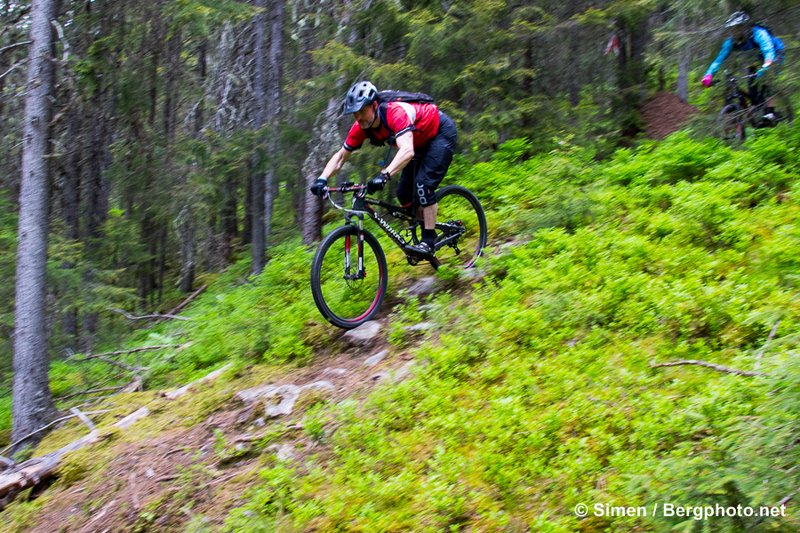 Fri Flyt: High speed trail with a lot of air time. 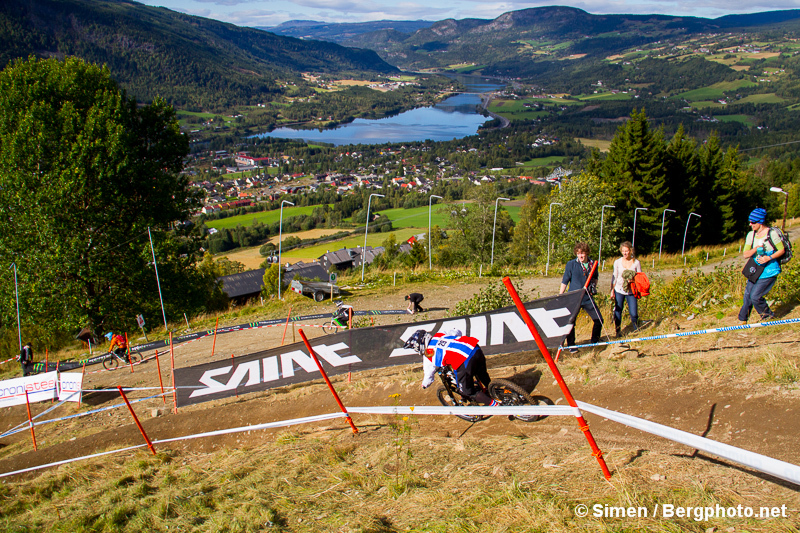 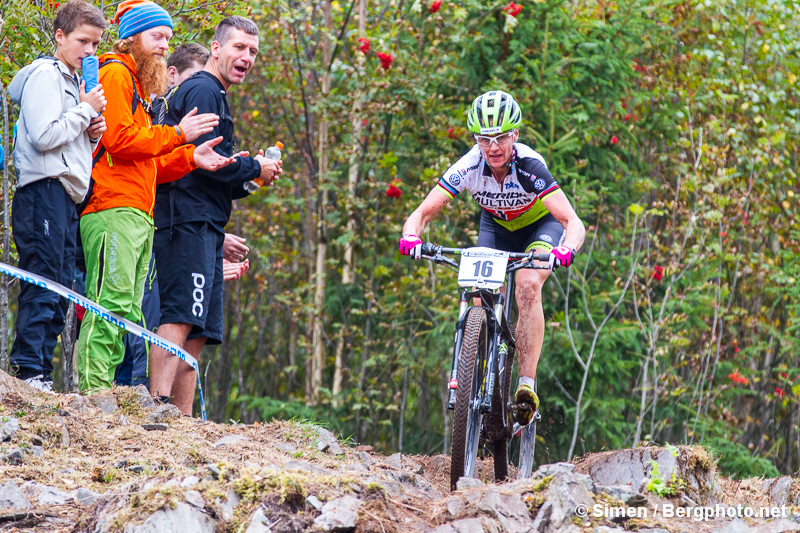 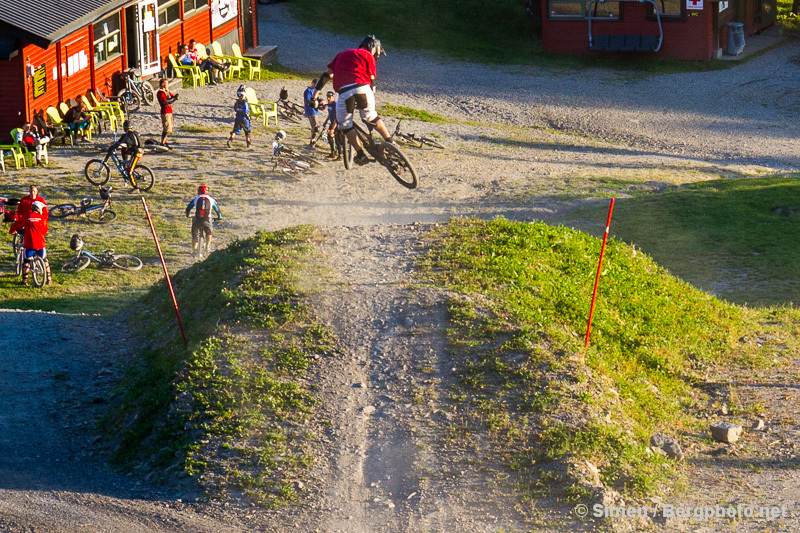 Ryehufsa: Sportsklubben Rye built a downhill track for Norwegian Cup events. 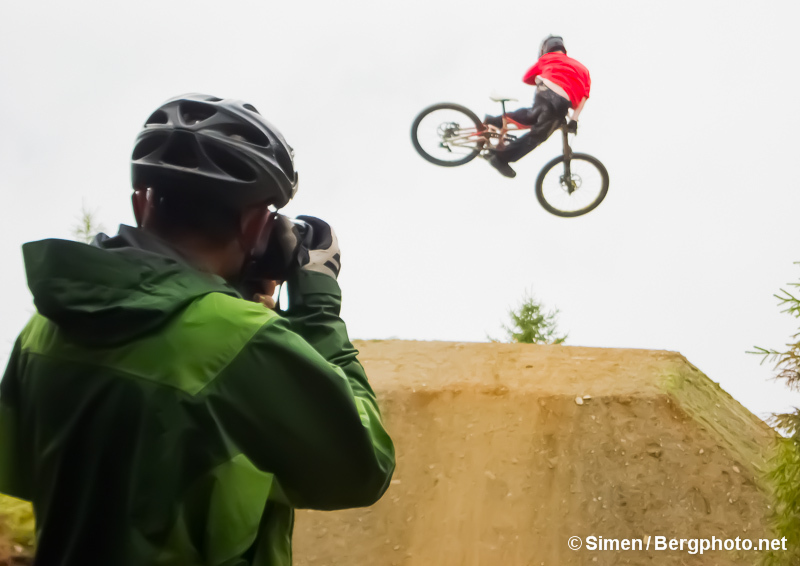 Note: Please note that the videos were filmed on the very first opening day, with loose and wet conditions. 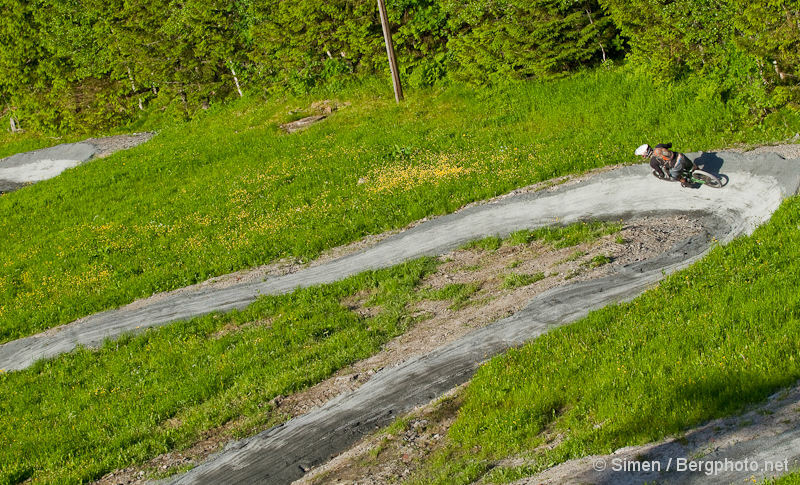 Begynnern and Eastside are smooth enough for hard tails until the brake bumps get to tiresome. 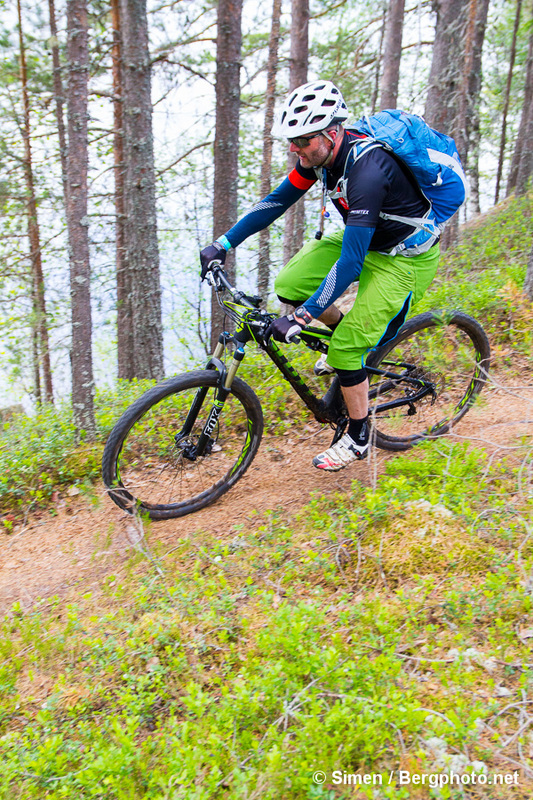 With a full suspension trail / AM bike you’ll be fine in Stiknusern as well. 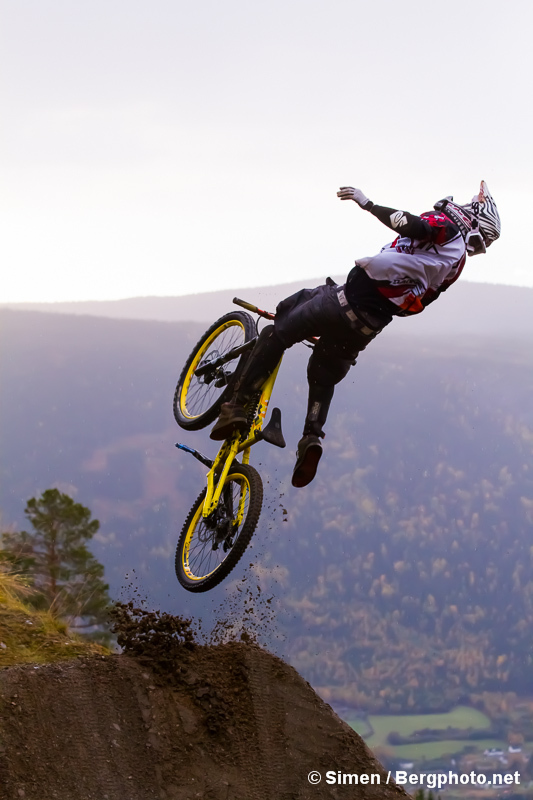 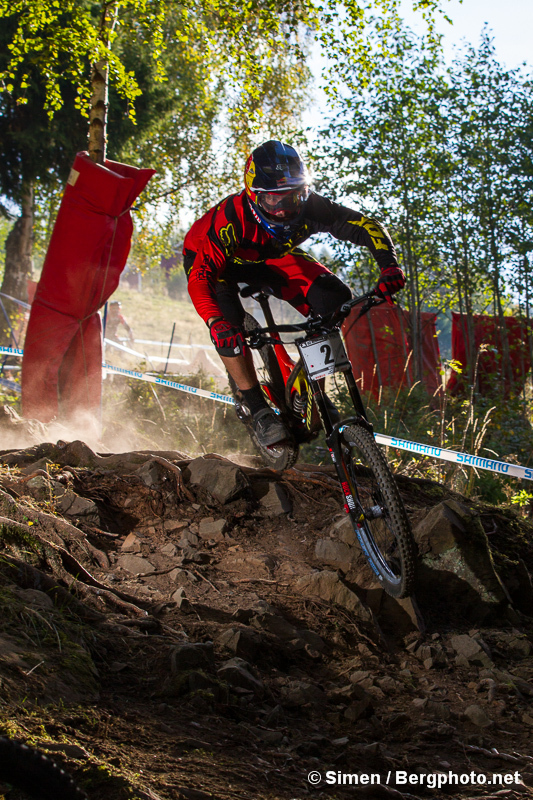 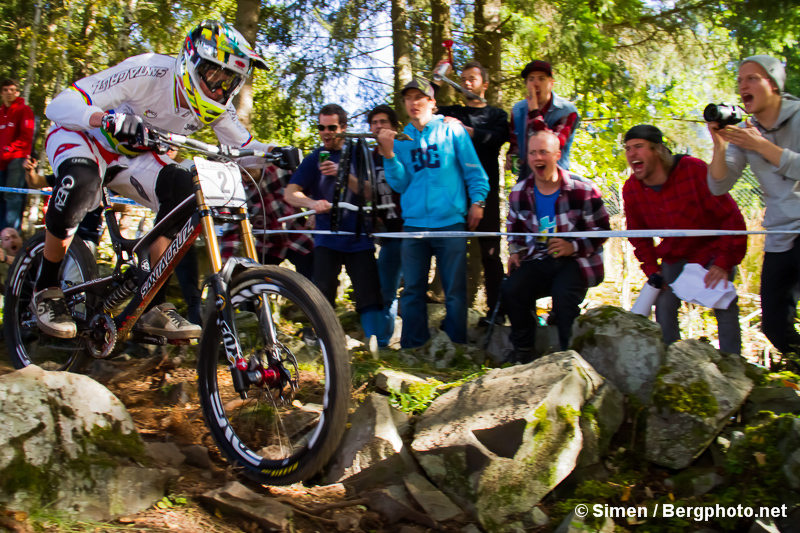 With a freeride/downhill bike you’ll be happy all over the place. 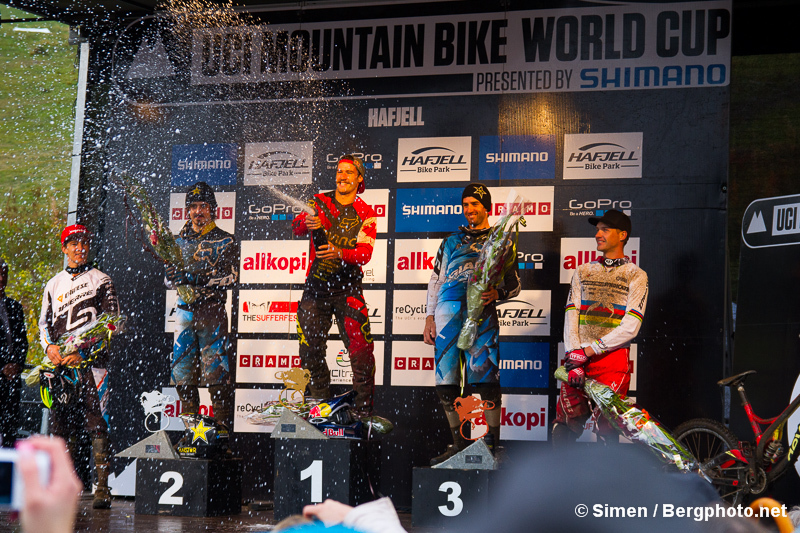 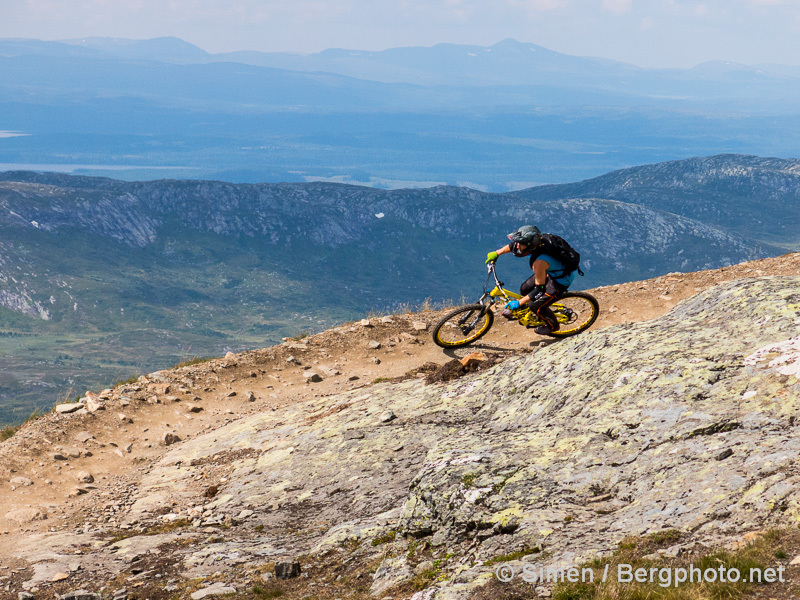 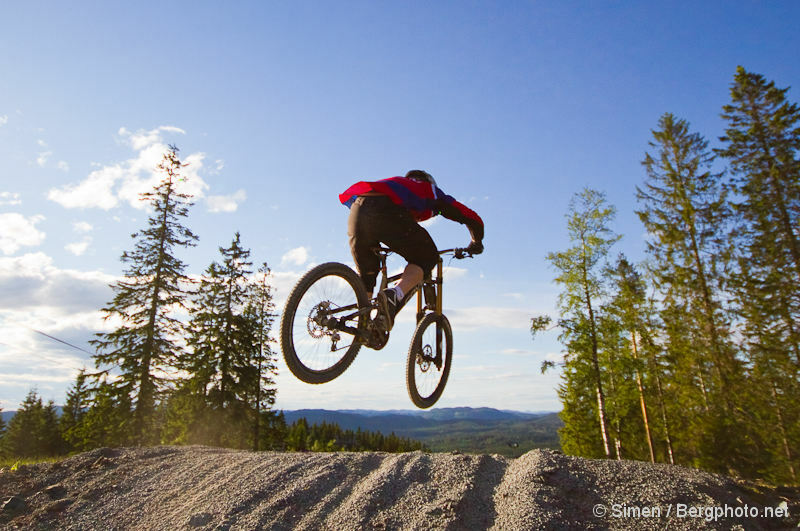 Hafjell is the best bike park in Norway. 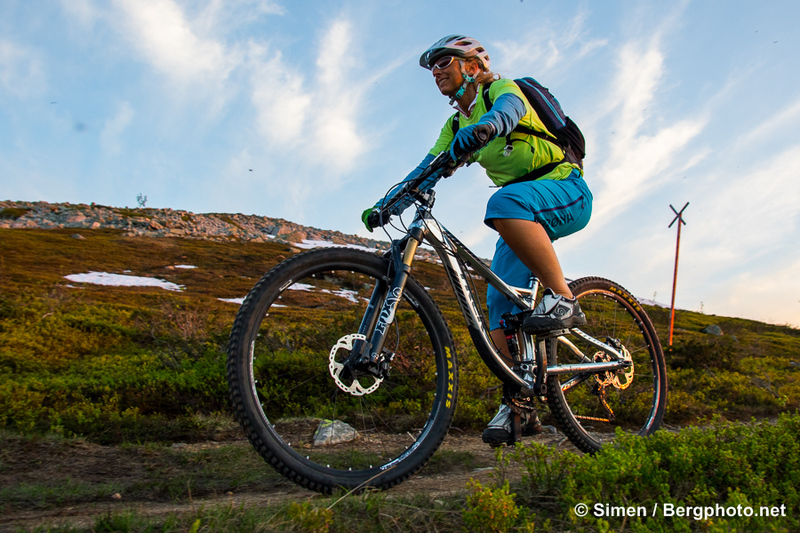 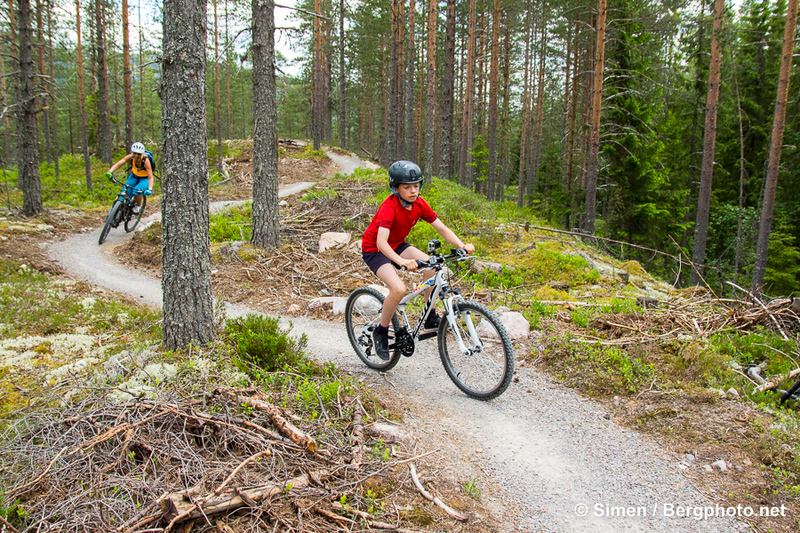 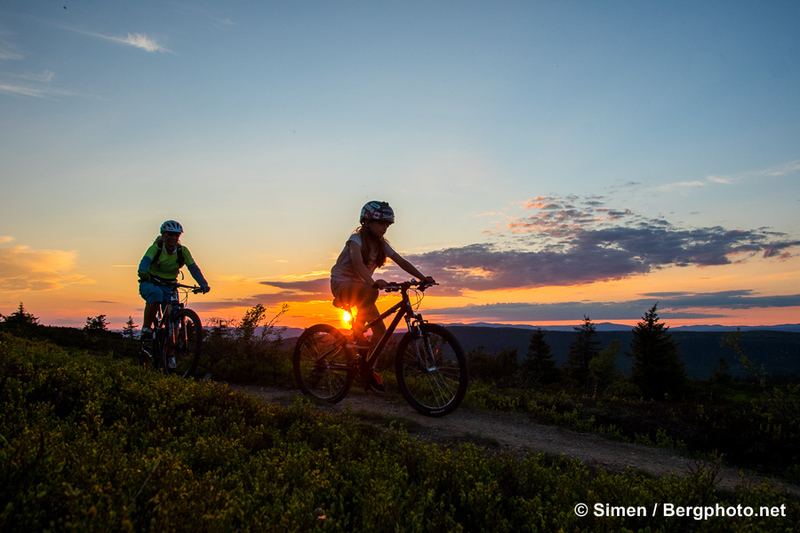 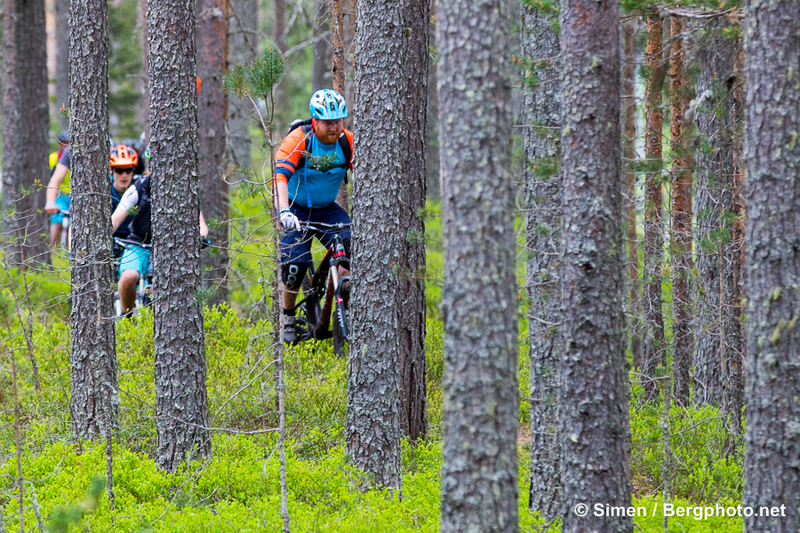 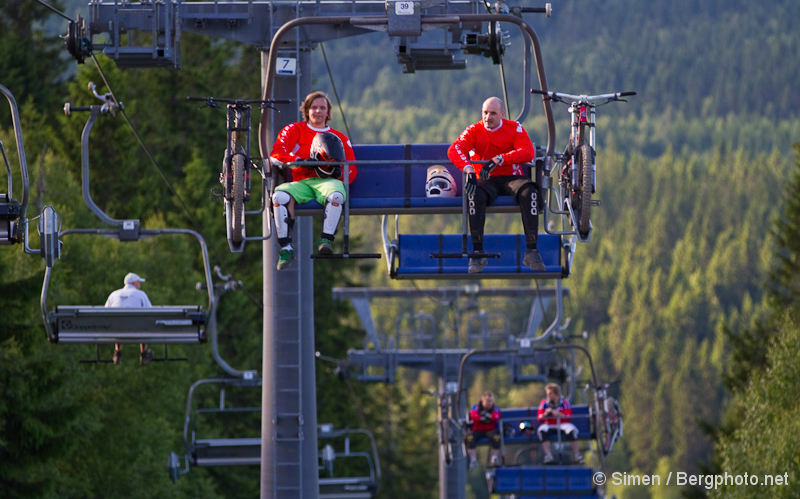 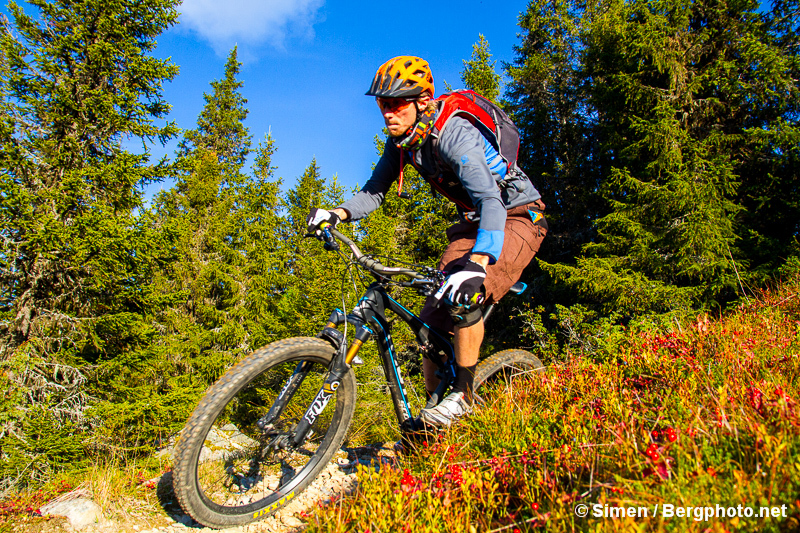 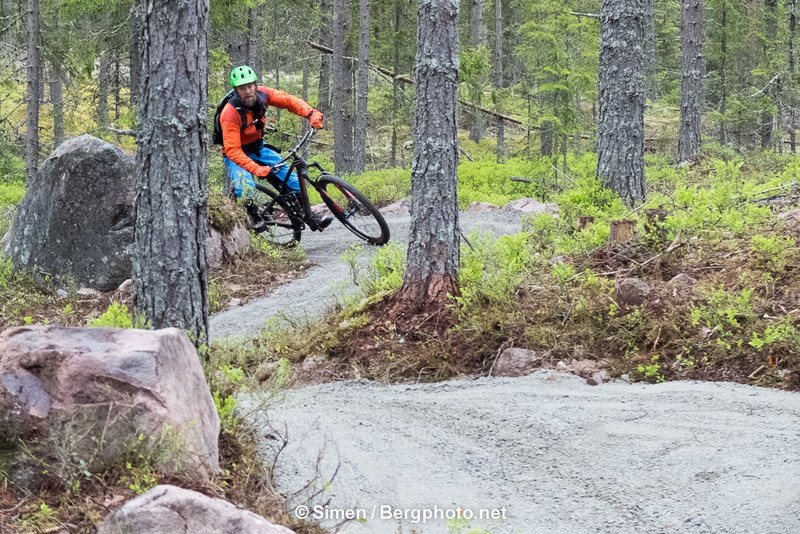 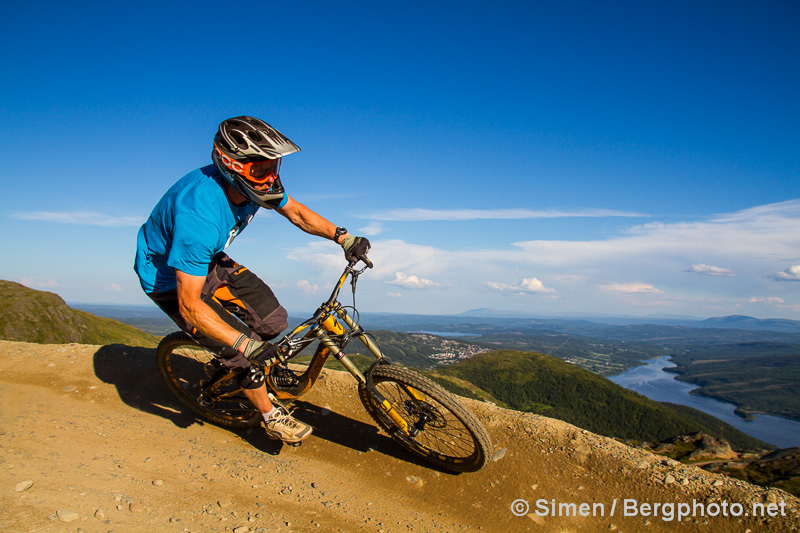 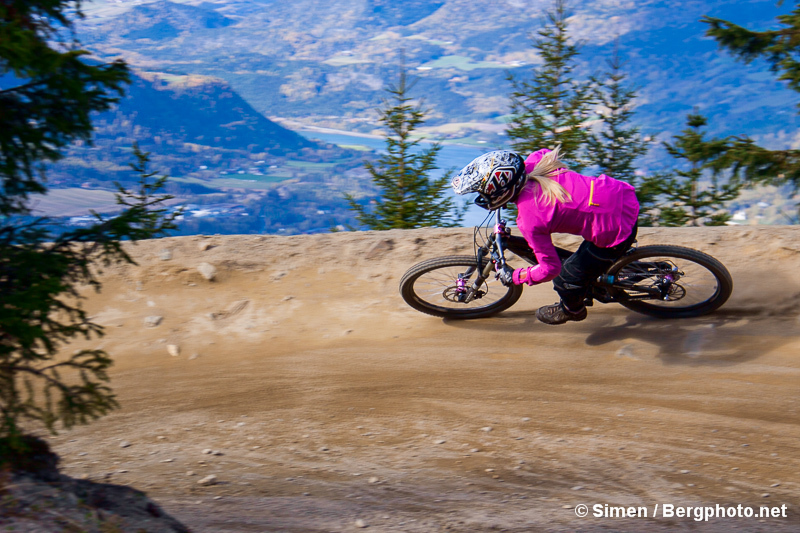 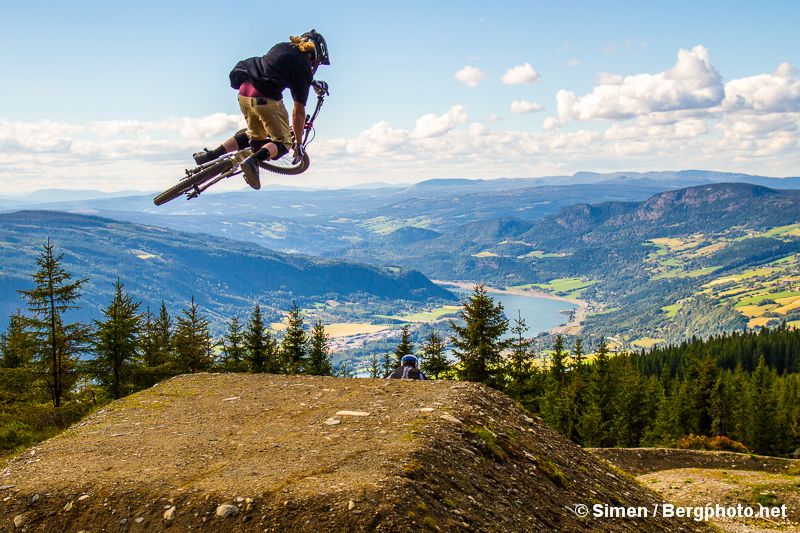 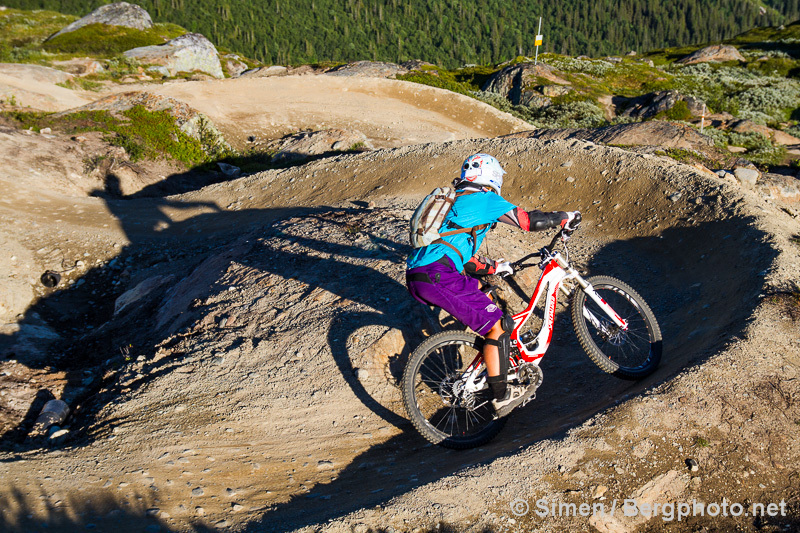 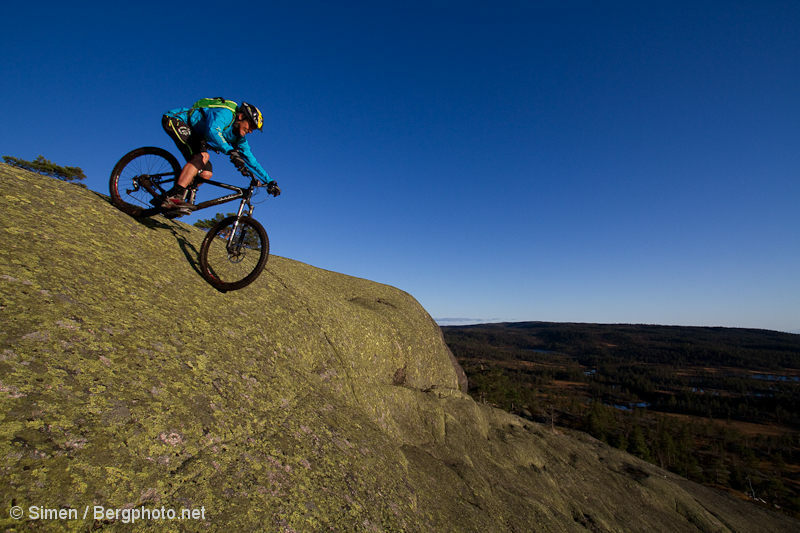 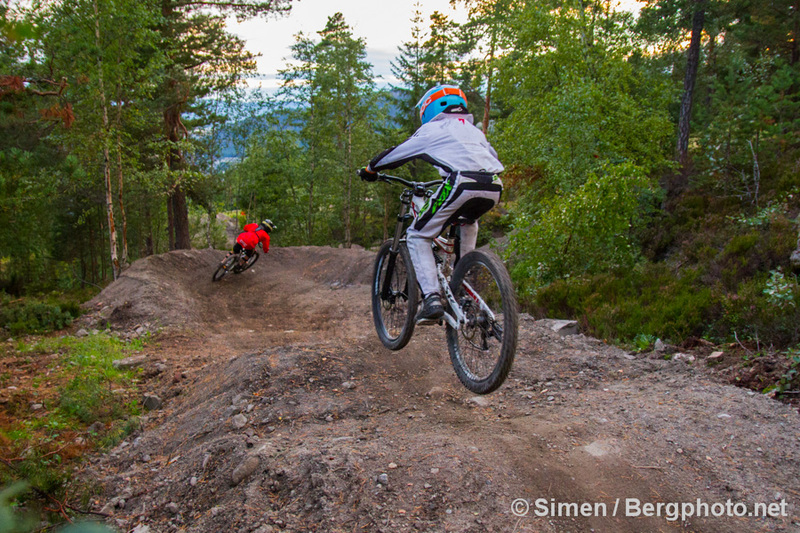 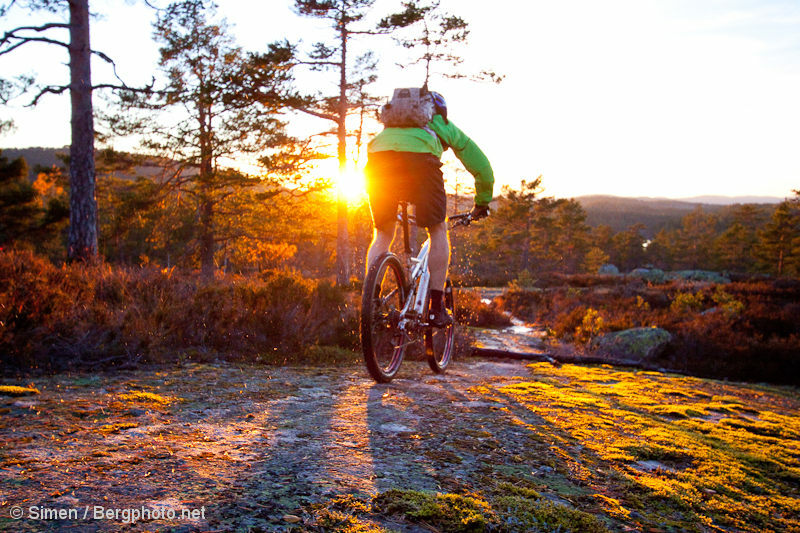 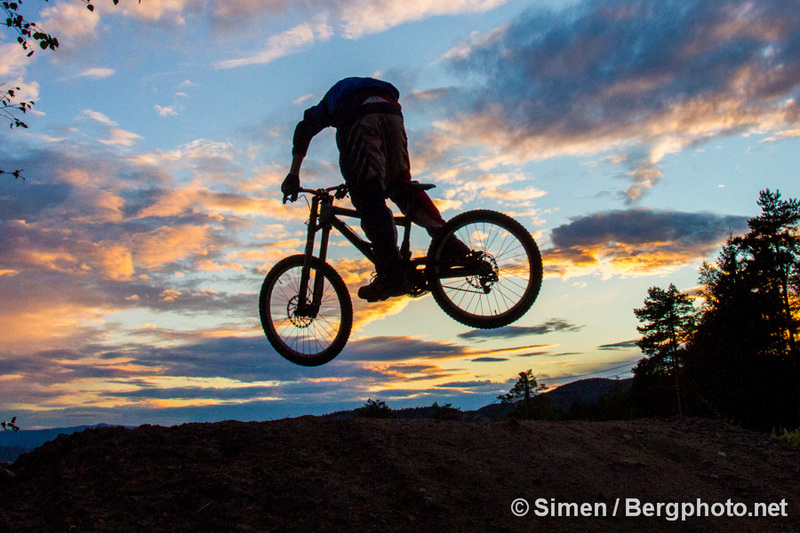 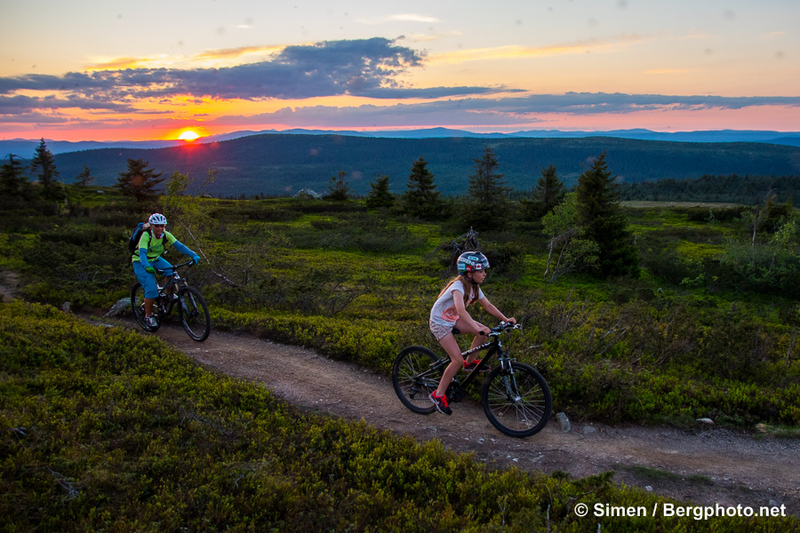 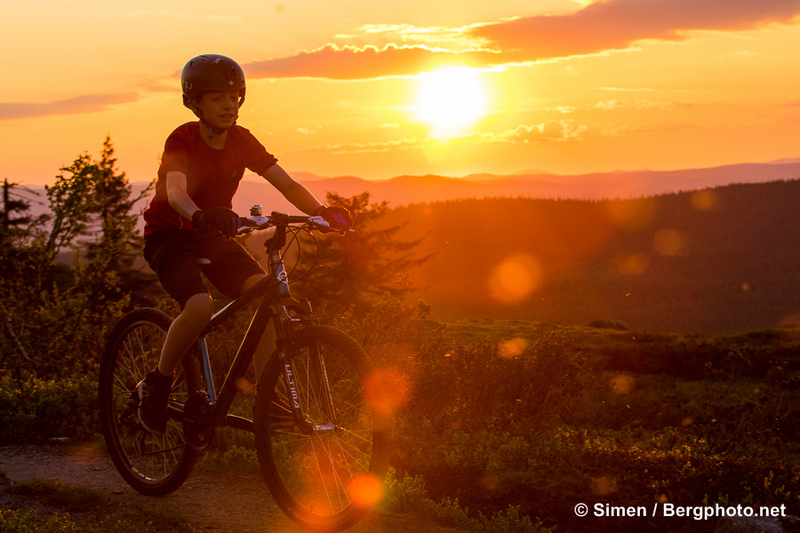 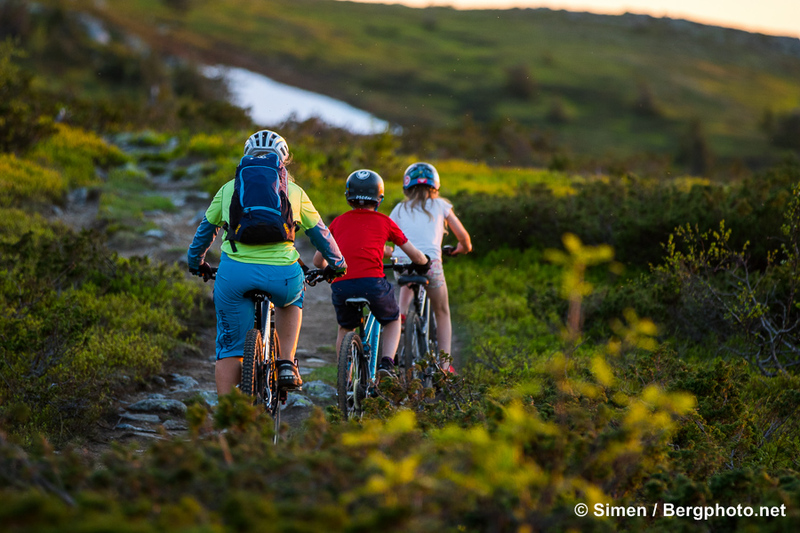 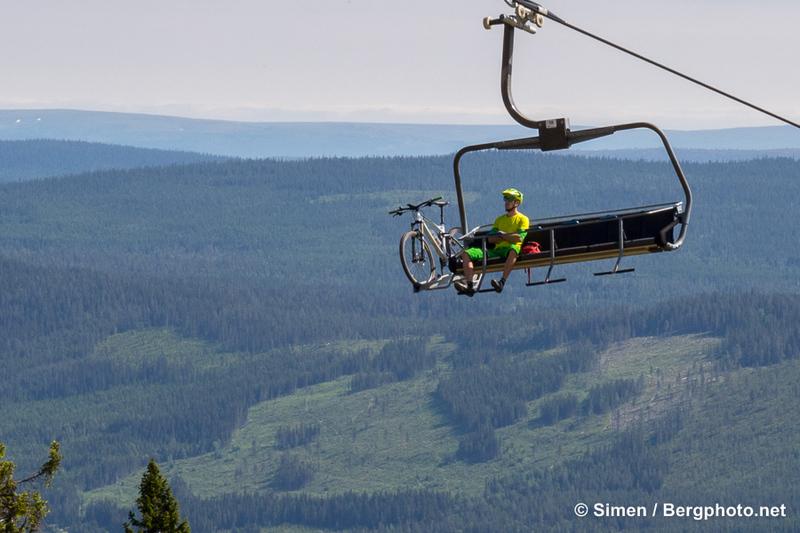 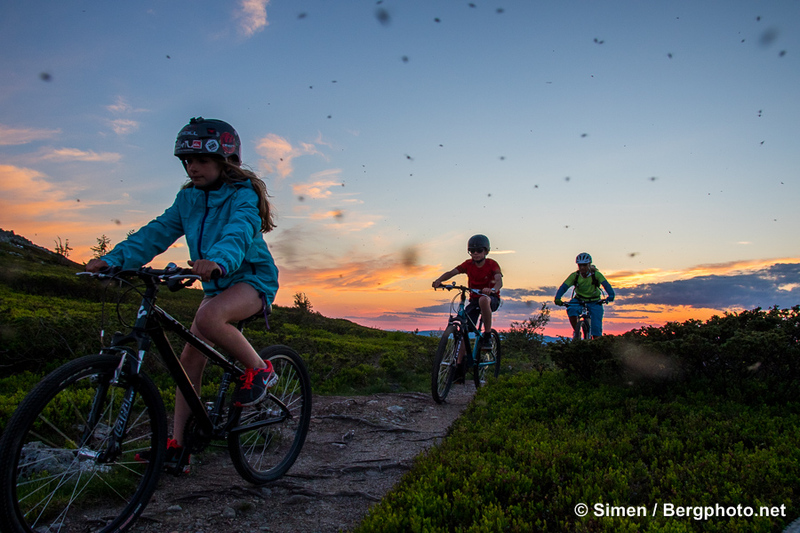 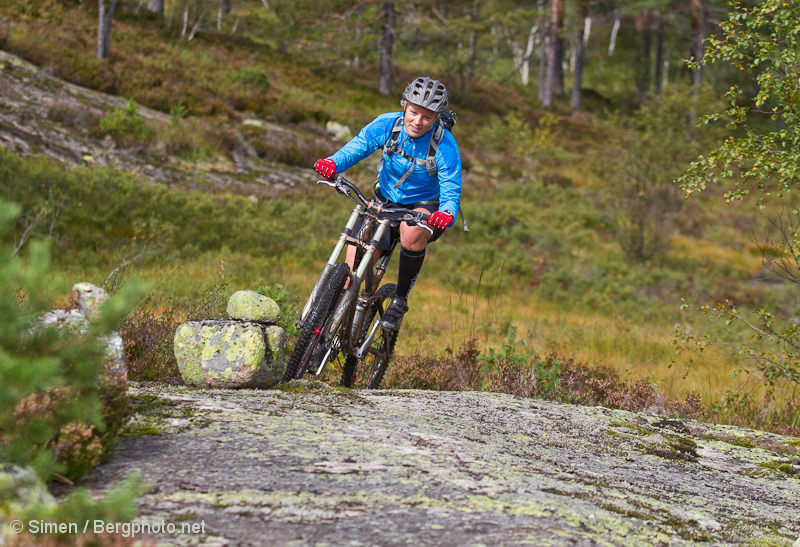 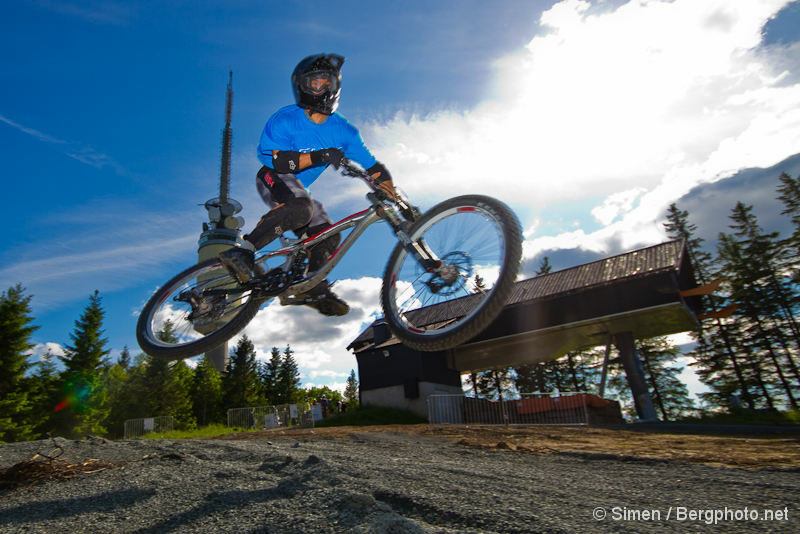 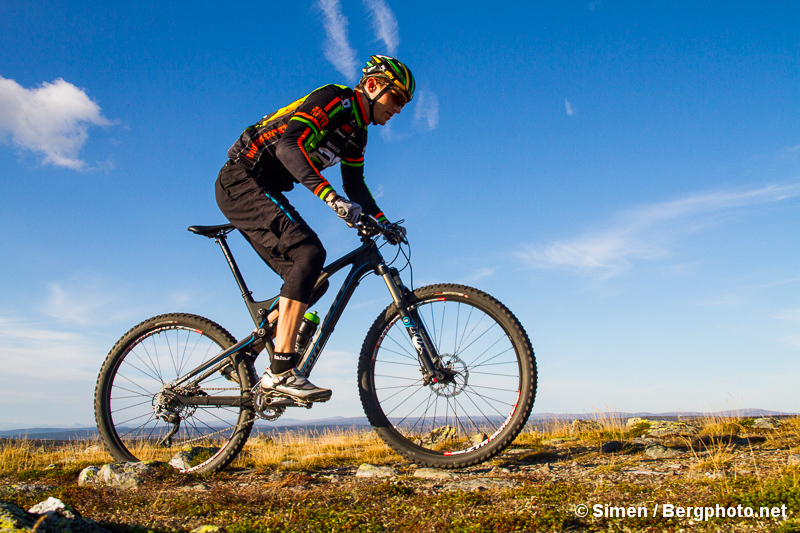 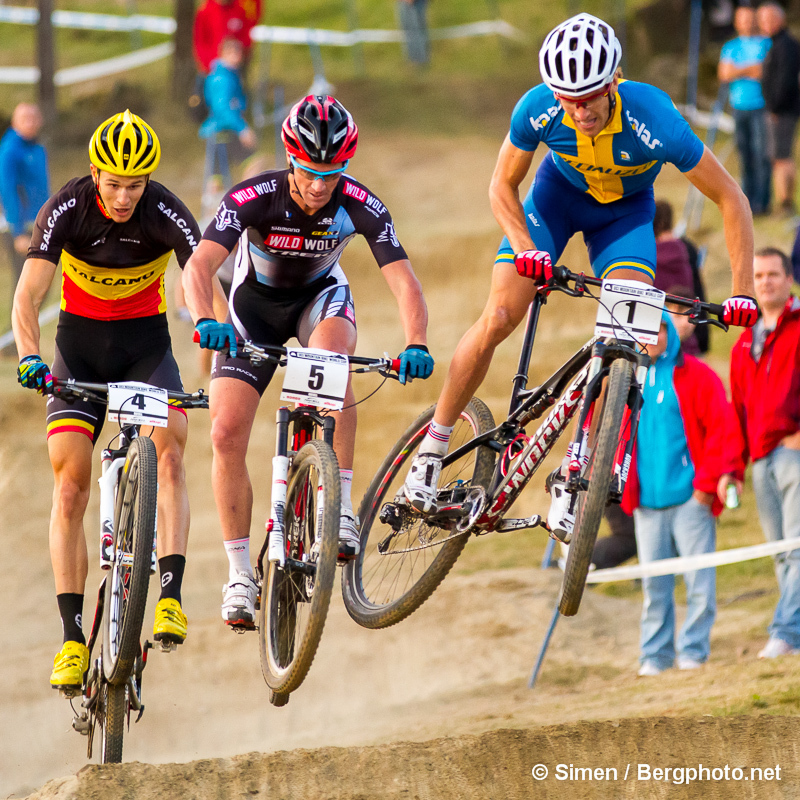 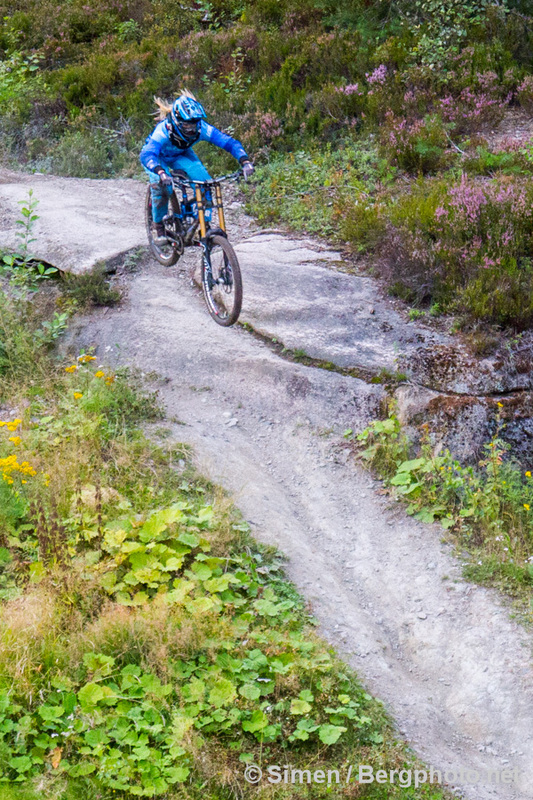 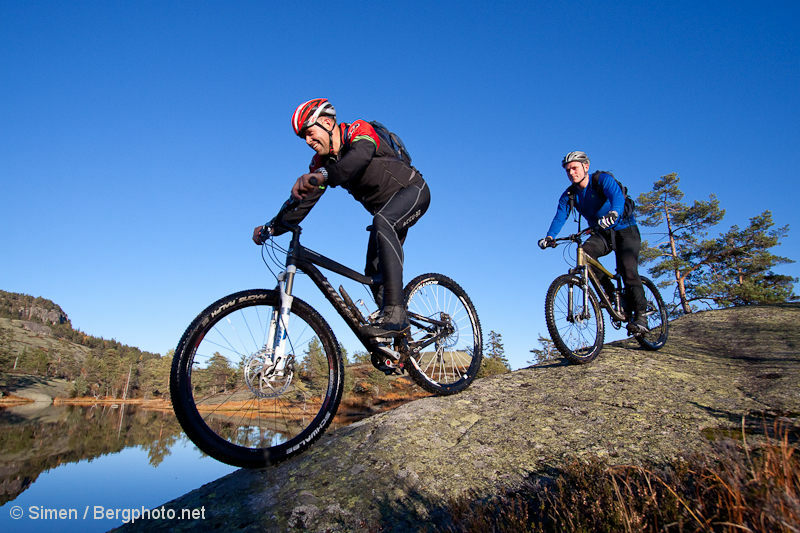 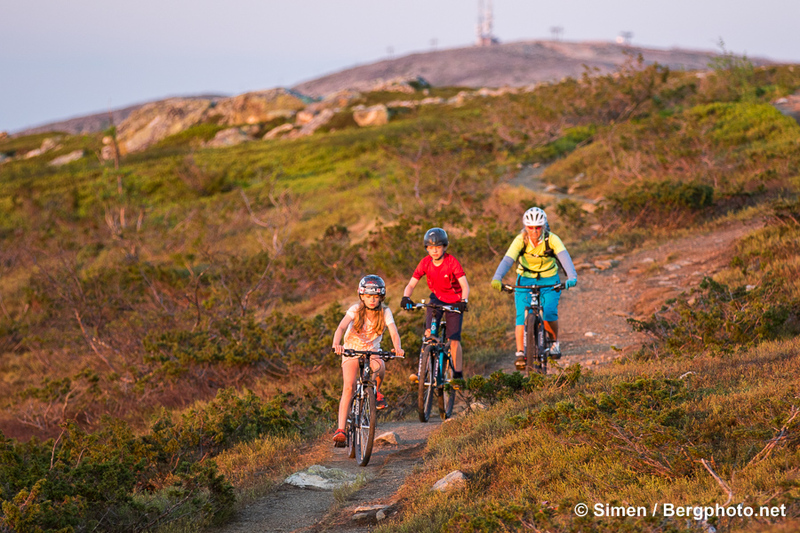 Half an hour from Oslo, Drammen Skisenter offers excellent biking. 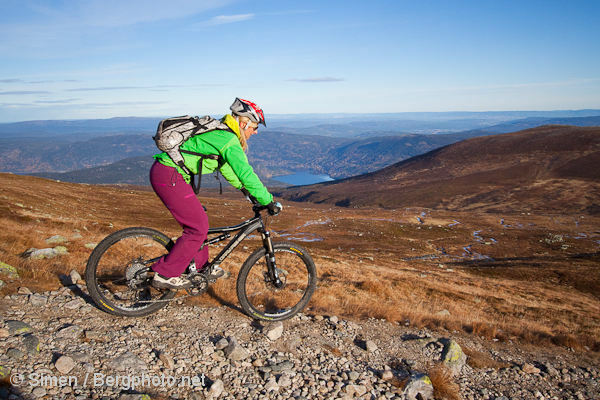 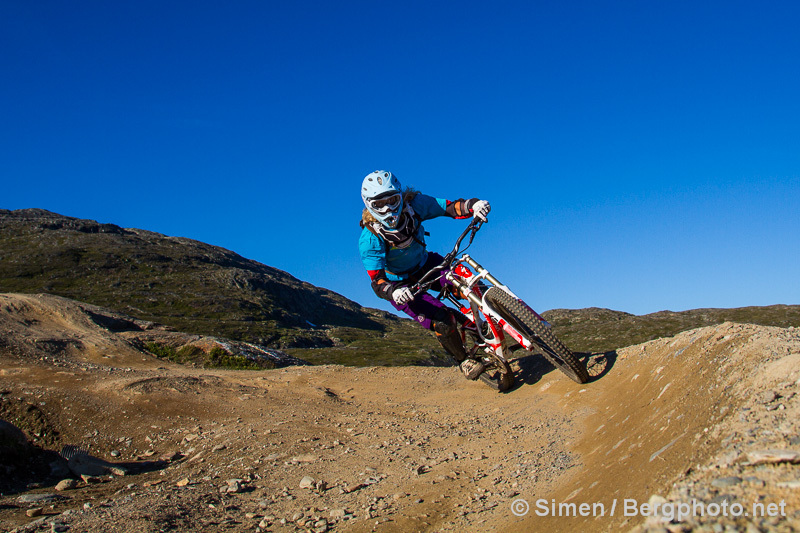 In addition, you can enjoy lift served downhill biking at Geilo, Hemsedal, Ål, Narvik, Vrådal, Hovden, Ulriksbanen (Bergen), Fjellheisen (Tromsø). 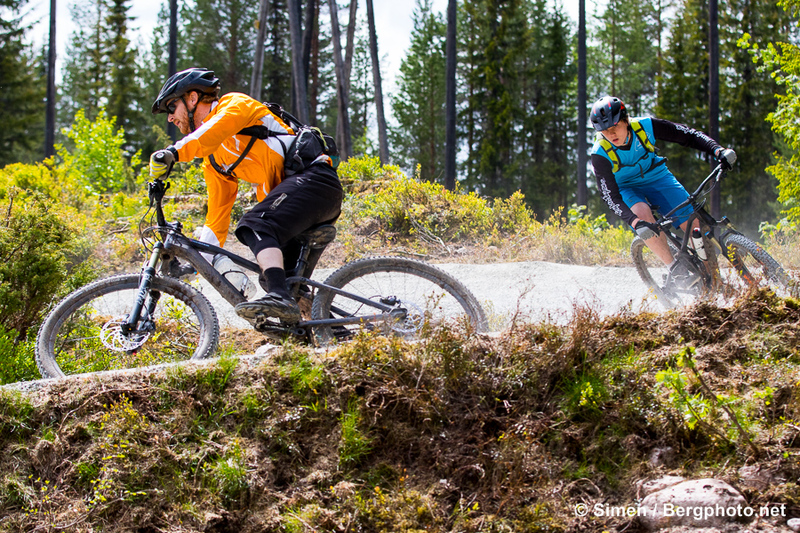 How about endless slickrock terrain with marked trails for biking in daytime, combined with high end hotel accommodation and food? 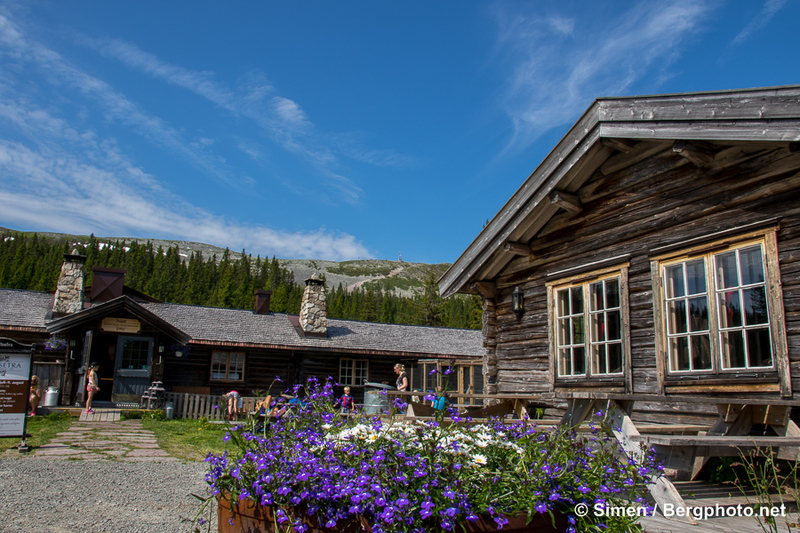 Including massage, sauna, hot tub and bonfire story telling on top of this. 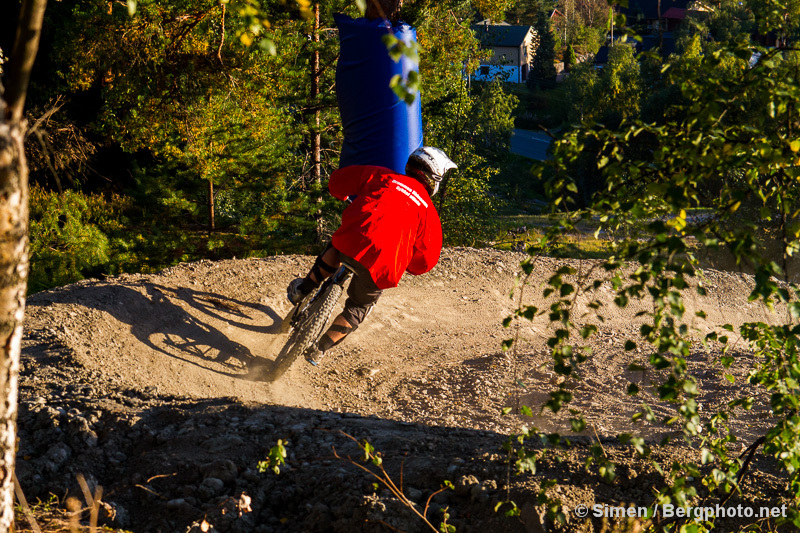 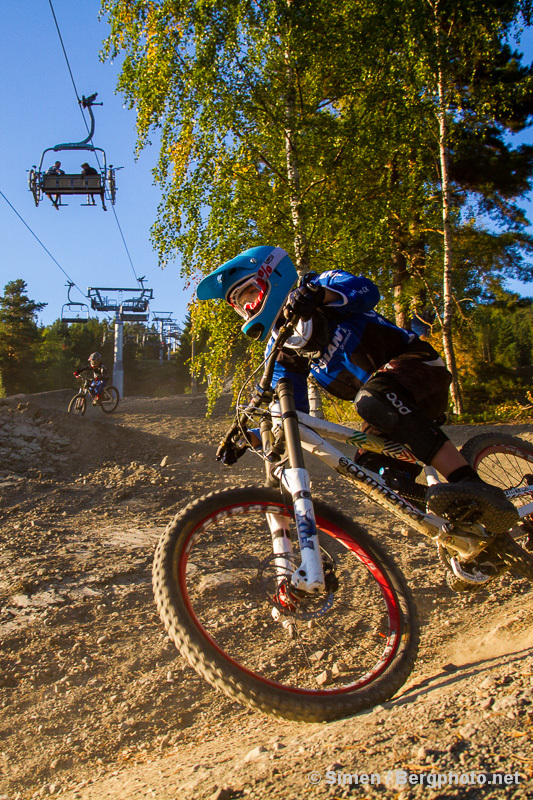 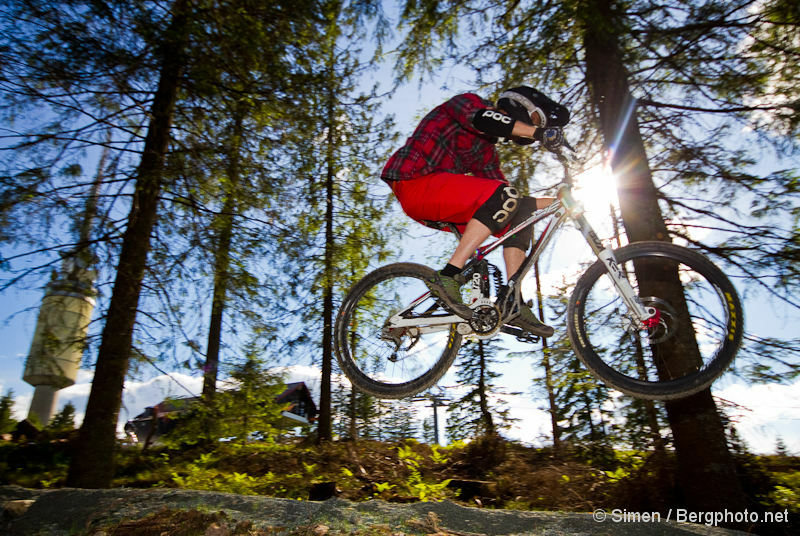 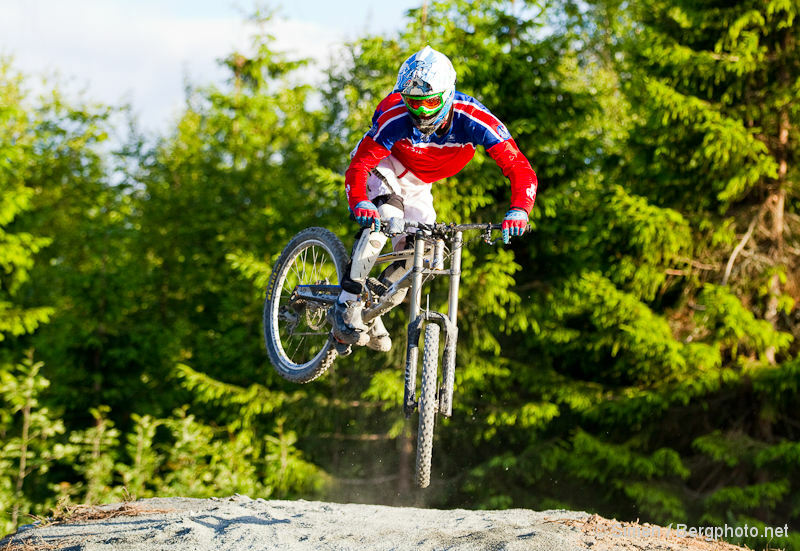 Canvas Hotel in Telemark offers this incredible mix of adrenaline biking and soothing comfort. 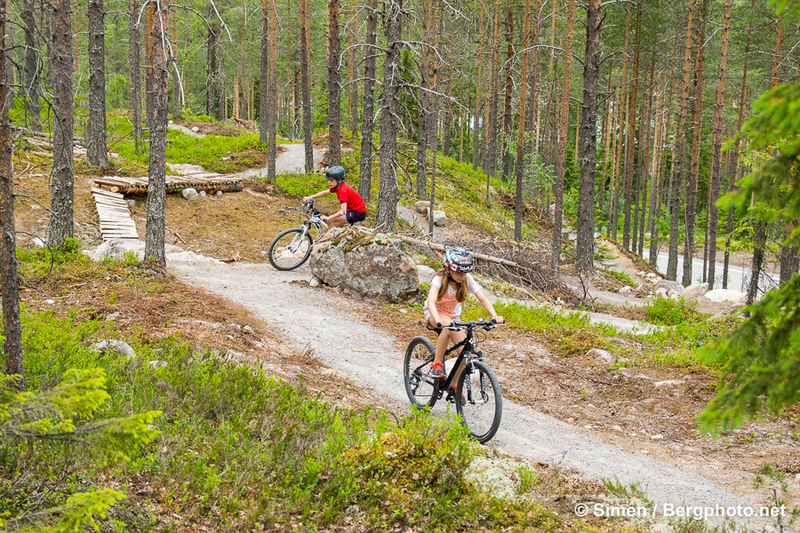 Normally, groups of guests arrive by bike on an hour long trail. 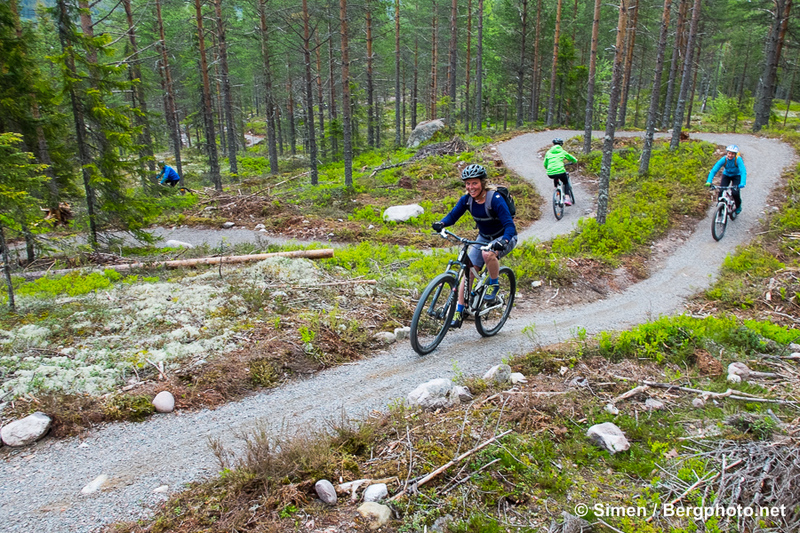 Others want to arrive on the 1.5 or 3 hour long trails. 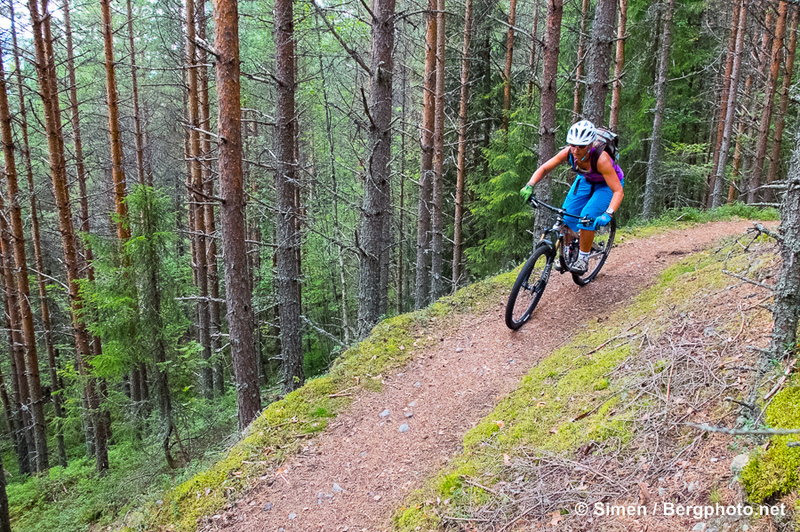 The latter on the DNT-trail from Gautefall. 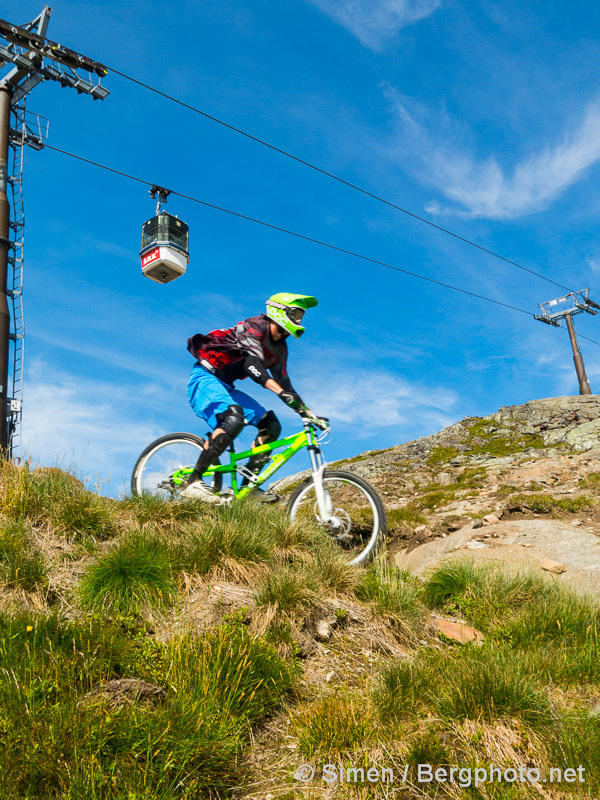 Luggage is taken care of. 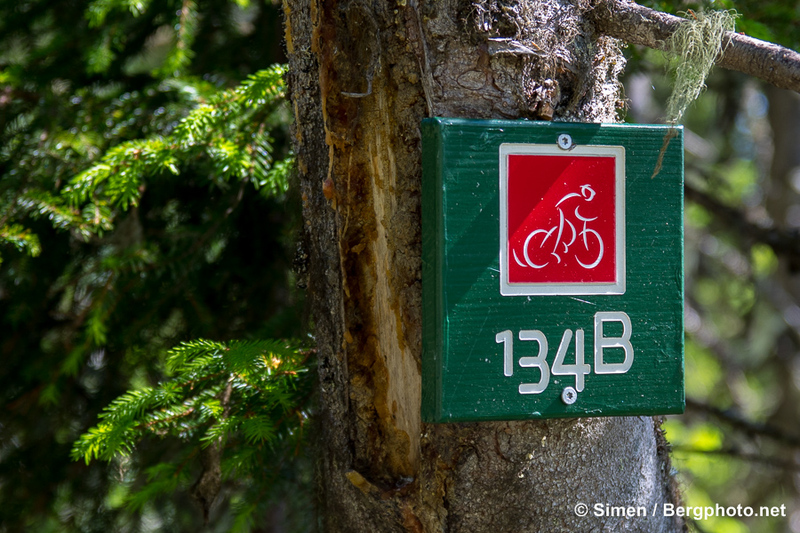 Once in the camp there’s a selection of marked trails, for the time being from 3 to 15 kilometers. 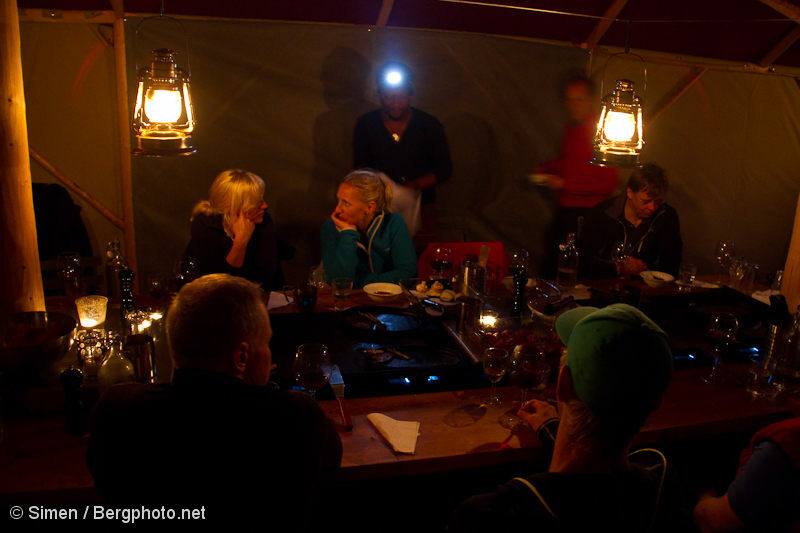 Guests are divided in groups based on distance ambitions or technical levels, and guides bring them along to give everyone what they came for. 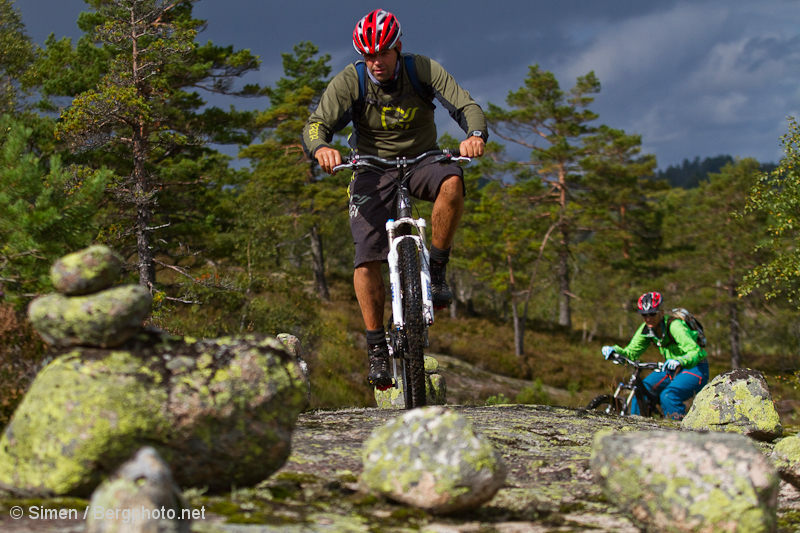 Upon request, guides can easily organize multi-day trips in the area as well. 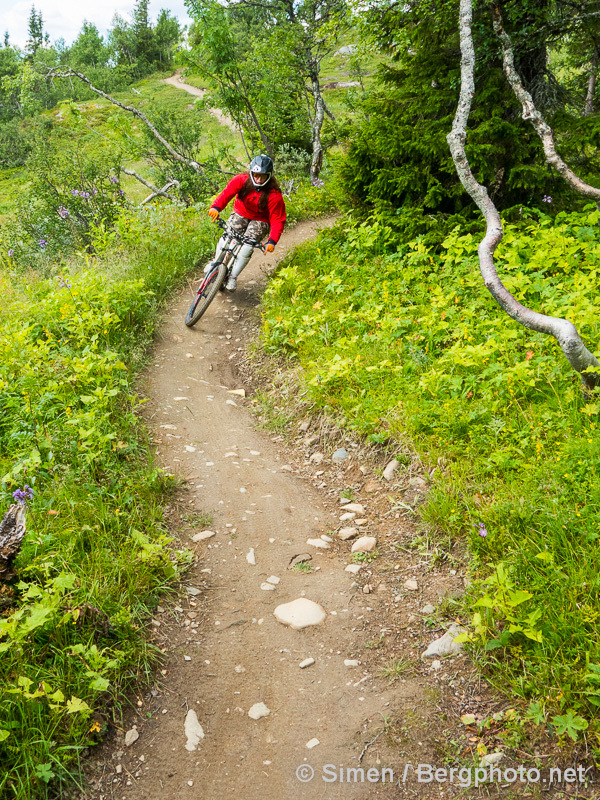 The trails are flowy and not very steep. 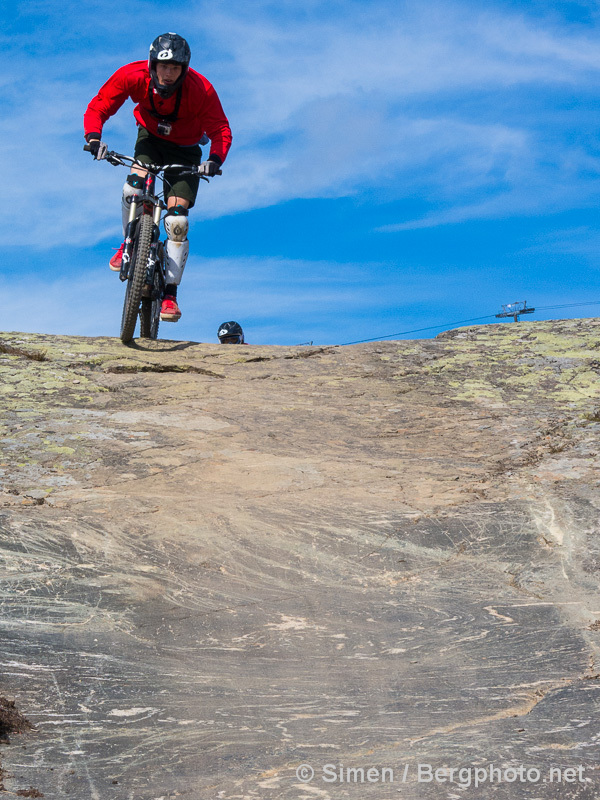 The slickrock formations offer any imaginable feature, including streams, lakes and deep and wide cracks in the landscape. 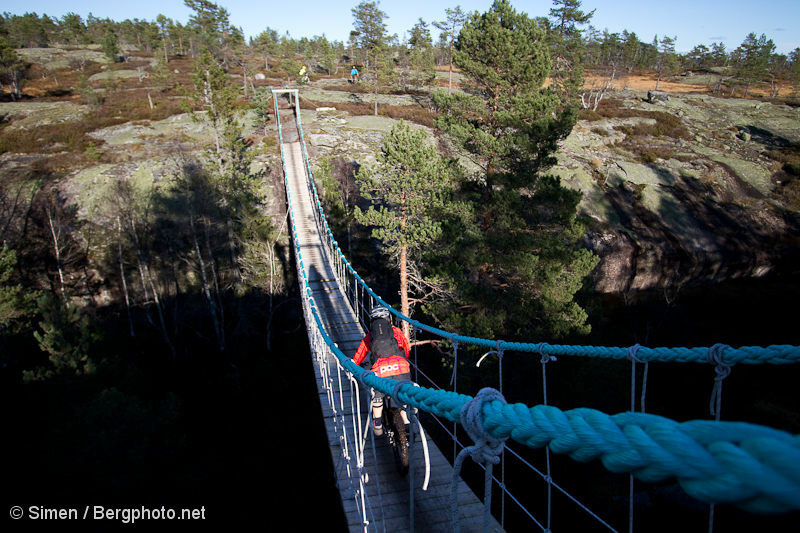 These are negotiated with bridges and woodwork in to the necessary extent. 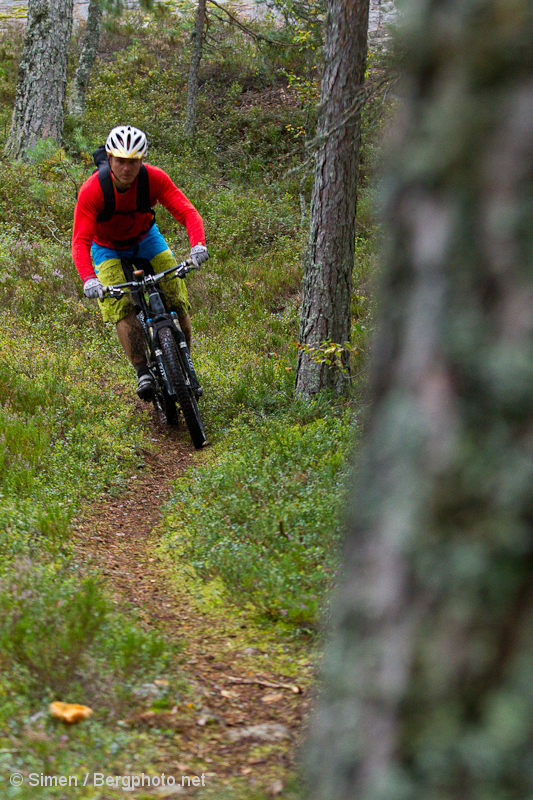 Luckily, the trailmaster himself is the landowner, who also is eager riding his bike. 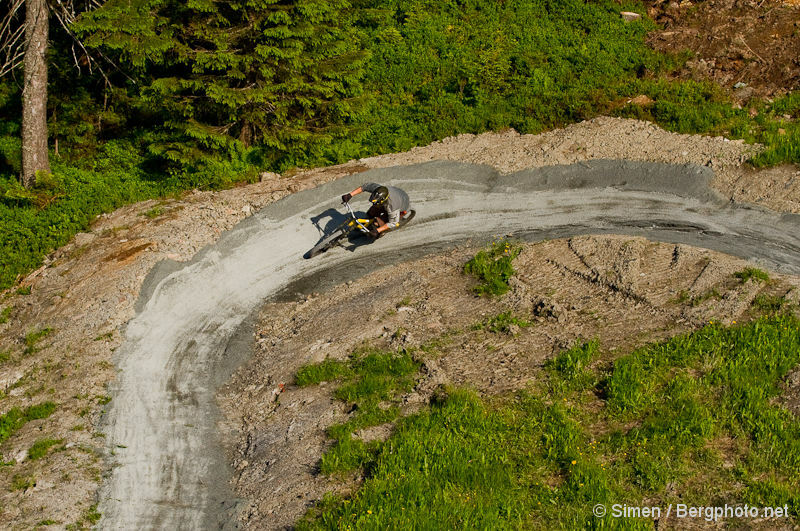 So in the years to come, there are loads of trail gems in pipeline here. 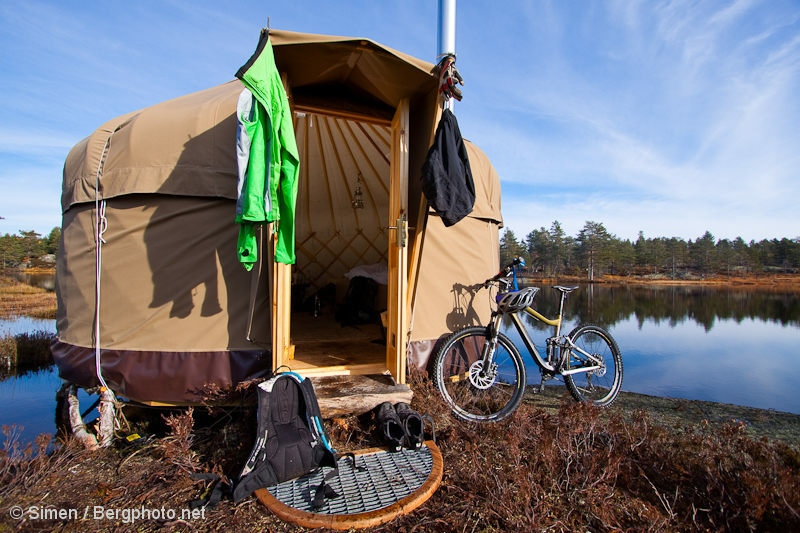 The hotel itself consists of 12 comfy yurts with two beds, heated with firewood. 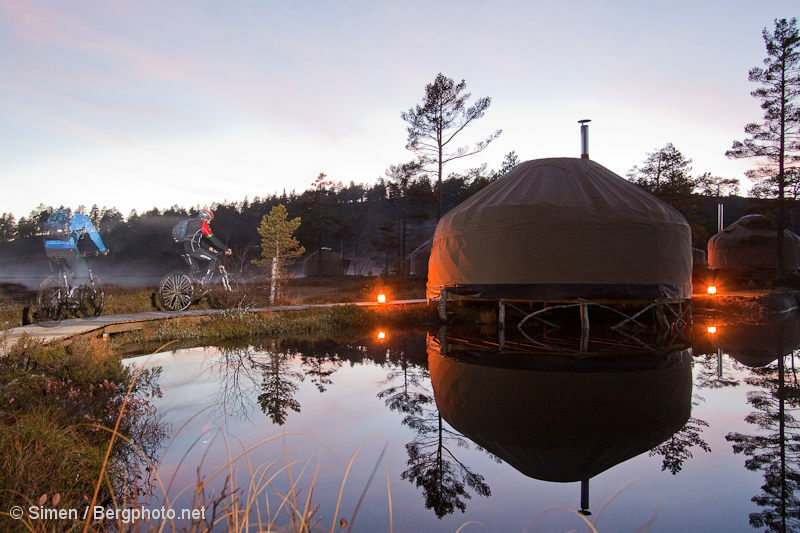 There’s a kitchen tent, sauna and bathrooms. 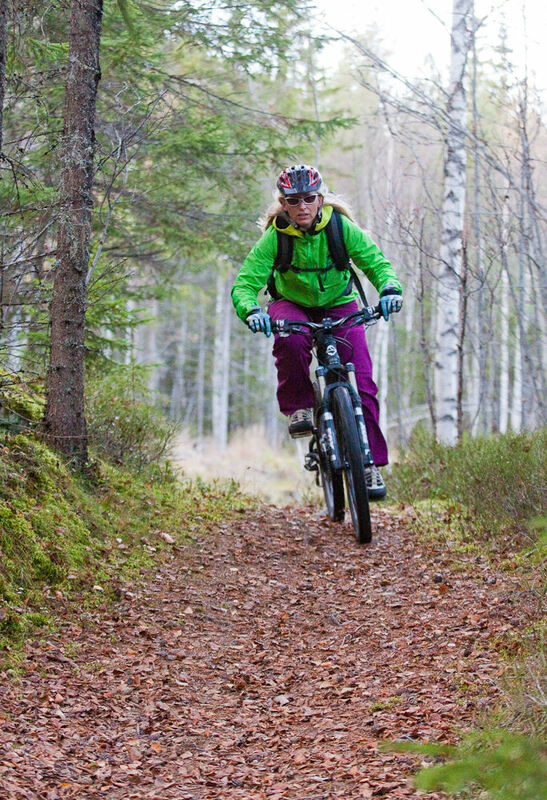 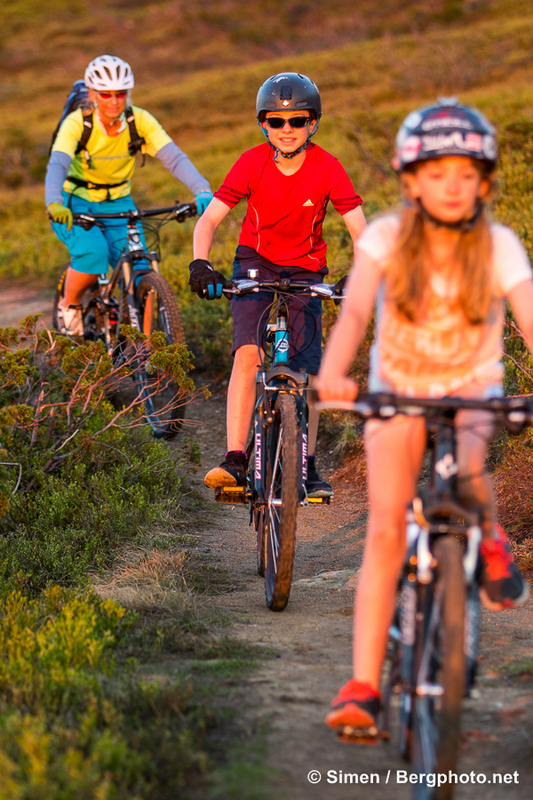 The trails are super smooth, so you’ll be fine on everything from a 100mm full suspension bike. 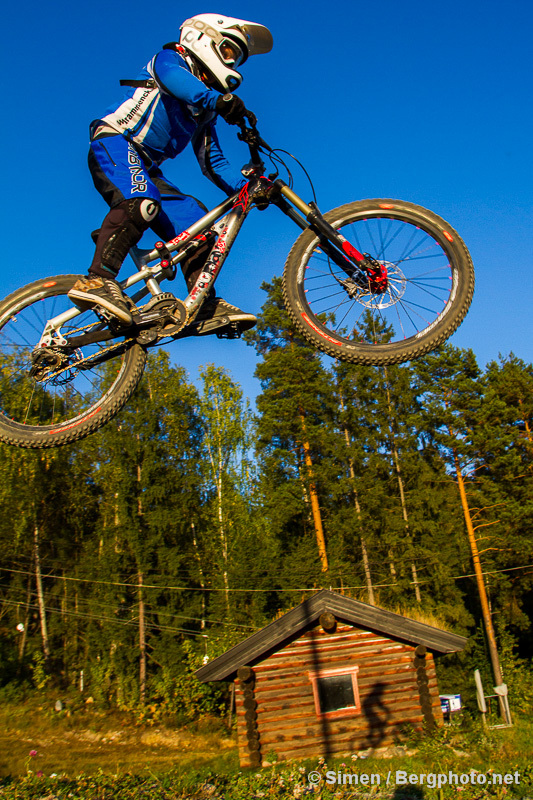 160mm will be overkill, but no problem. 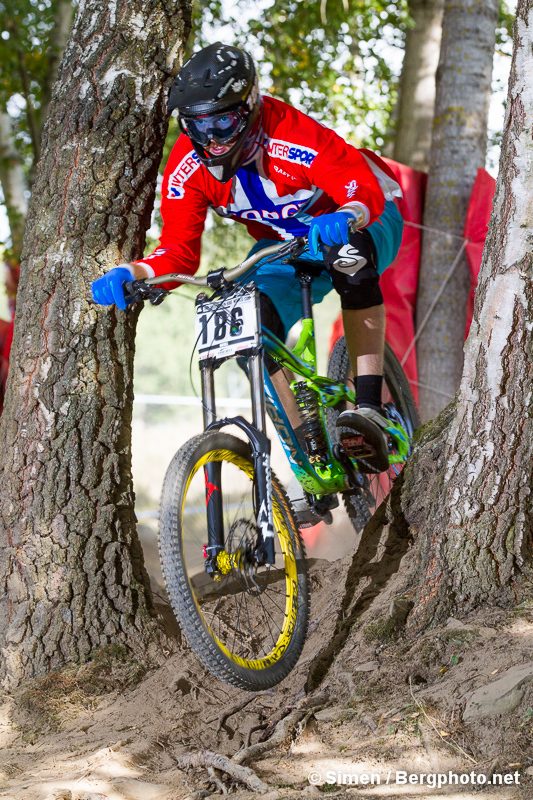 You’ll be OK on a hardtail, but should consider renting a Lapierre Zesty at Canvas. 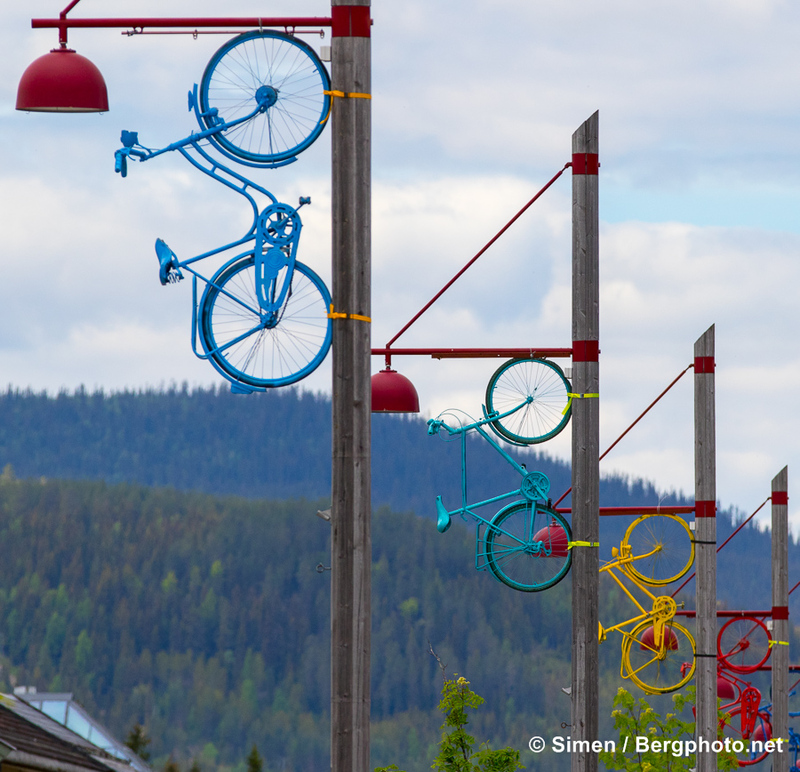 Go on E18 to Porsgrunn and follow signs to Drangedal. 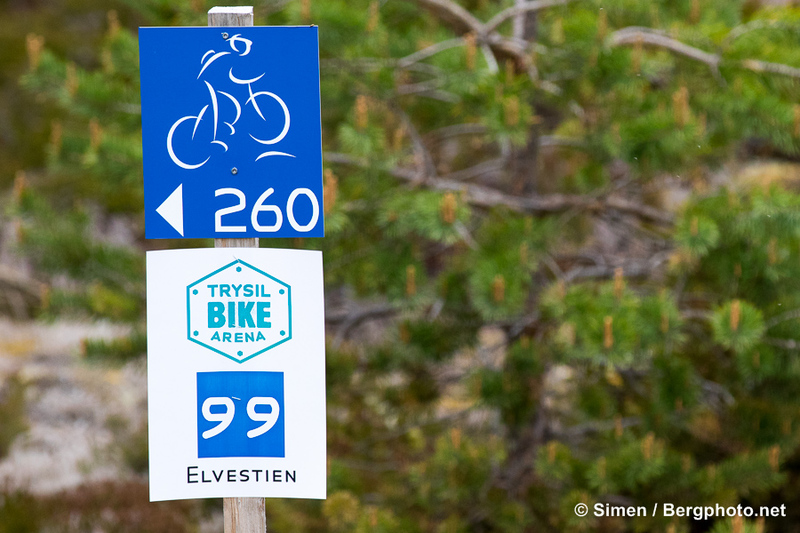 Or you continue south on E18 and go on Drangedal signs from there. 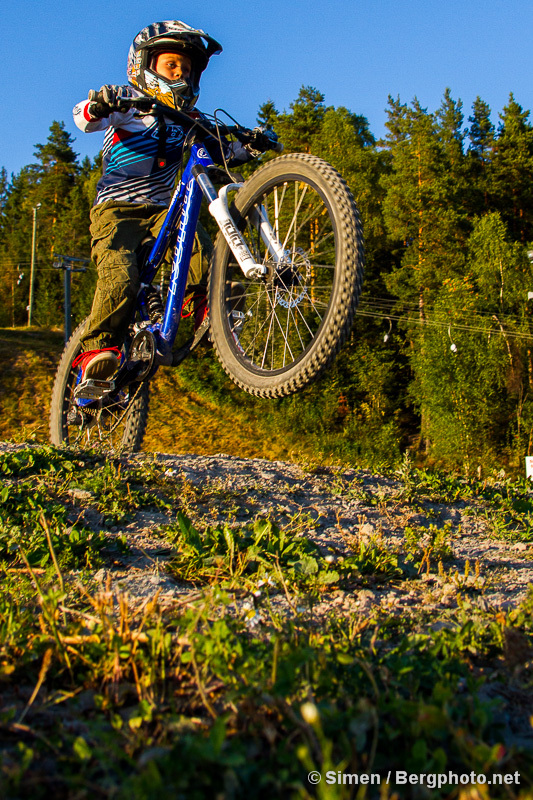 When passing Drangedal, keep going until Gautefall signs show up. 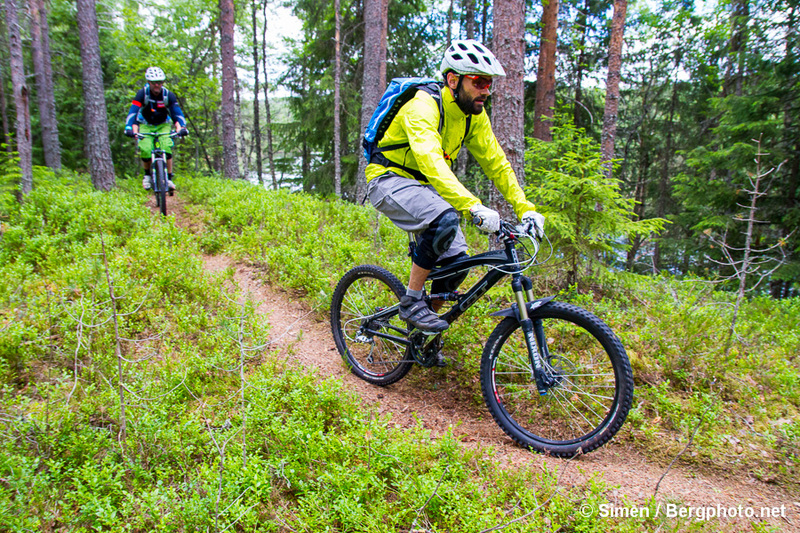 Follow them, and stick to the plan you made when booking at the hotel. 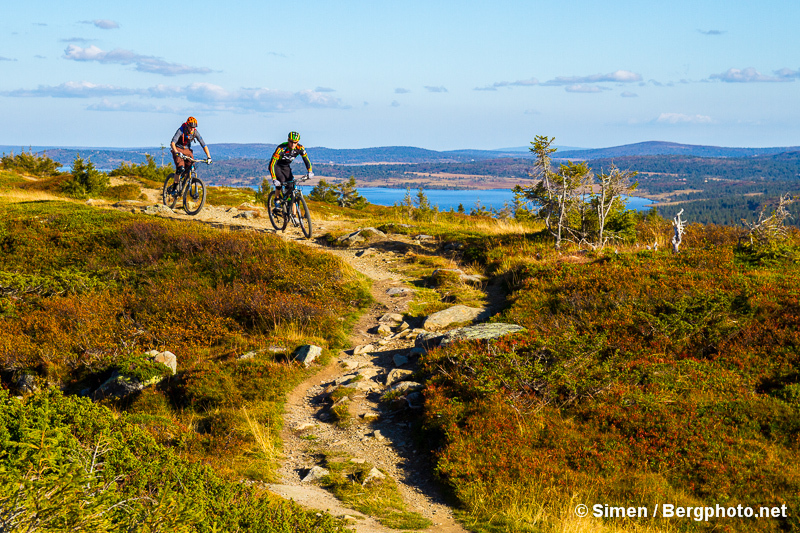 Allow 3.5 hours from Oslo and a bit more than 1 hour from Porsgrunn.